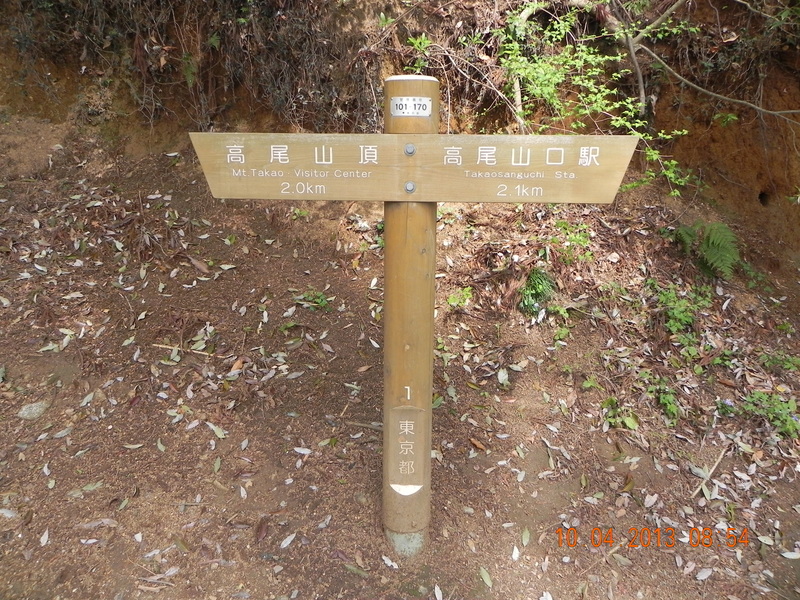 Takaosan (高尾山) is the ideal destination for easy, fun trekking. 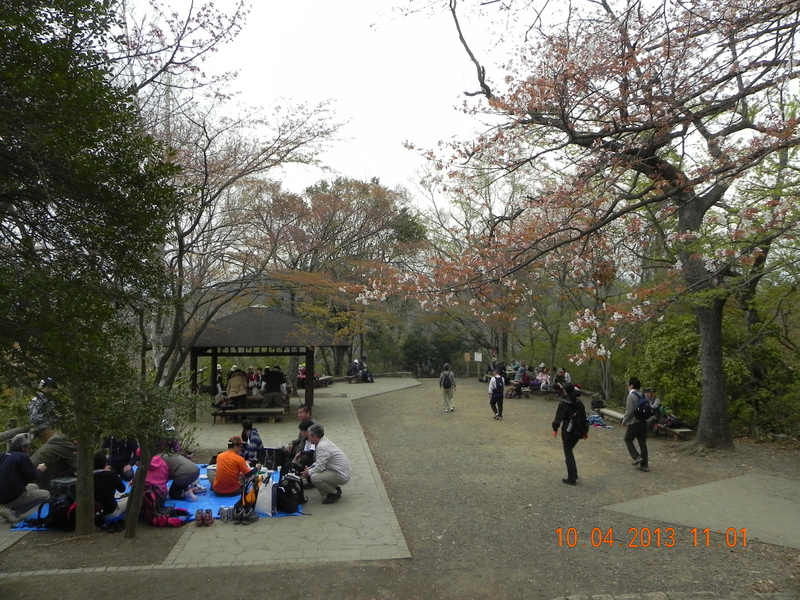 The summit is just 599m and on a clear day we can see Mount Fuji & have excellent view of Tokyo’s cityscape. 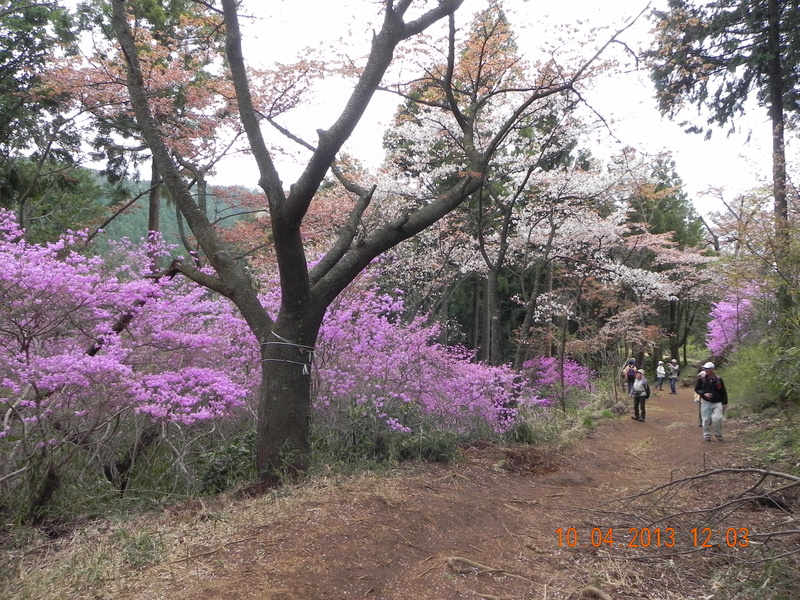 It is also easily accessible (& so a favourite weekend destination for many) via a 370yen 1 hr train ride on Odakyu Keio Line from Shinjuku, and that’s what I did on 10apr2013, the second day of my trip. 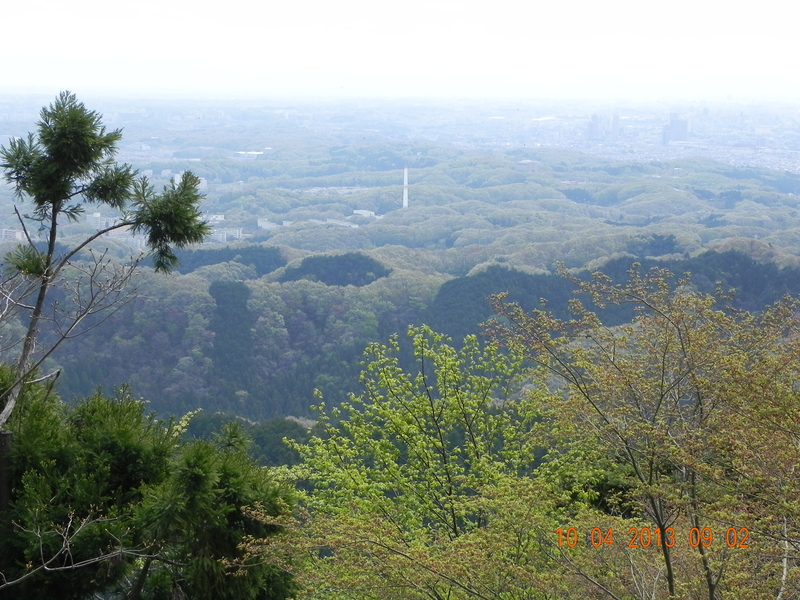 I had earlier learned from my driving holiday with my wife in Tohoku (just before it was ravaged by the Fukushima tsunami/nuclear disaster) that momiji (maple) koyo (autumn leaves) colours are best viewed in the mountains & sakura in the cities. 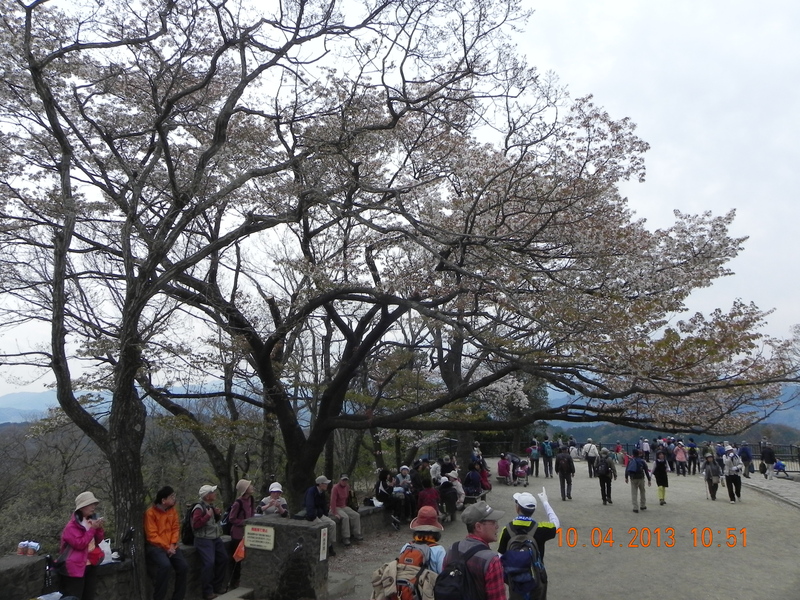 🙂 and though my Chasing Sakura turned Missing Sakura Tokyo trip was failing in its primary mission, takaosan did offer both great trekking + late sakura viewing especially the senbonzakura (1000 sakuras) on a 1/2 hr trek from the summit to Itchodaira. 🙂 I would just have to make do with that. 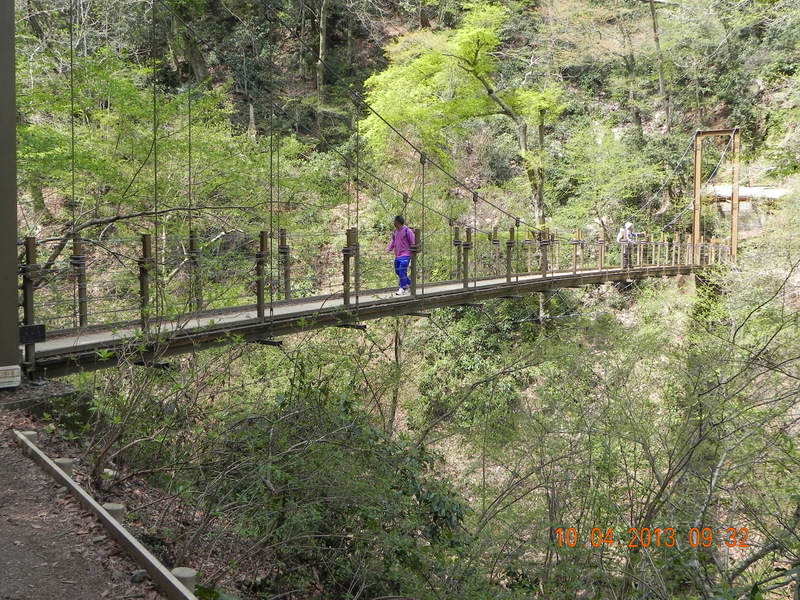 I decided to take route 4 to see the suspension bridge, knowing that I would likely turned back as the guide said after the bridge the route up was steep. 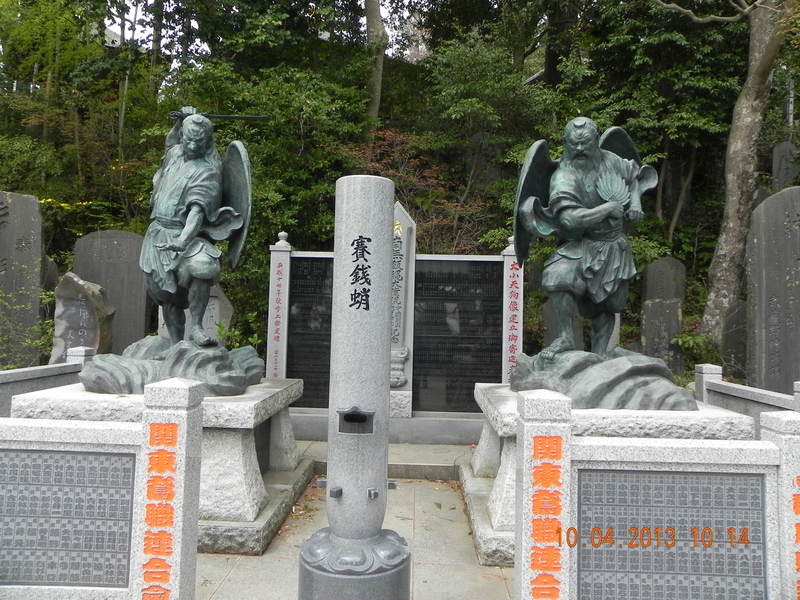 I decided to go route 1 all the way rather than route 3. this took me pass the Yakuoin Temple (药王院). 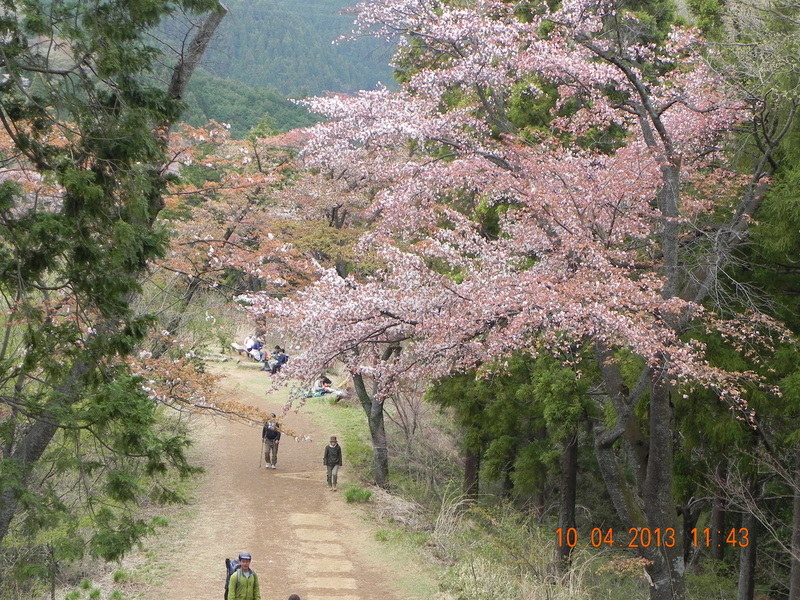 the senbonzakura route to Itchodaira was not quite lined with 1000 sakuras (or maybe some had bloomed & fallen). still it was such a wonderful walk. 🙂 oooooooooooo! 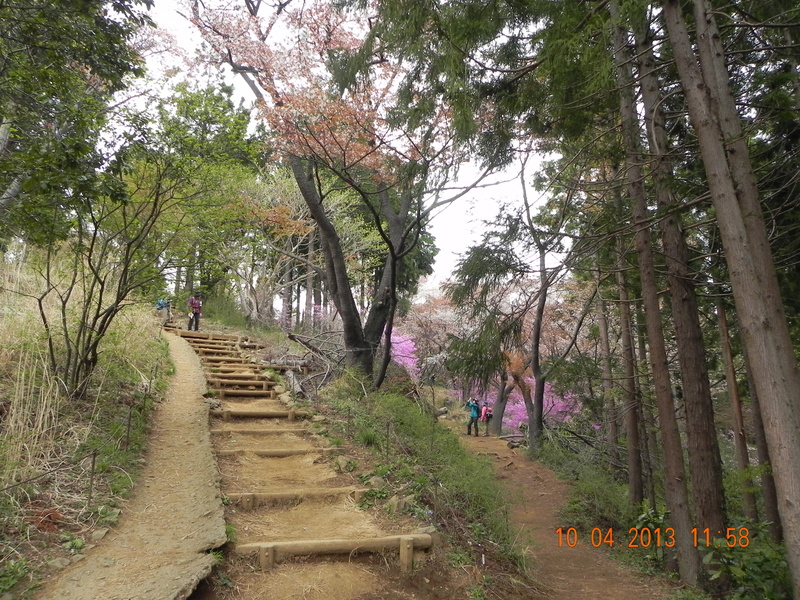 there was another long rather tedious flight of steps to Itchodaira(the 5 photos above were taken at branch trek on the right side of these steps). I was wondering if to take it, which I did eventually. 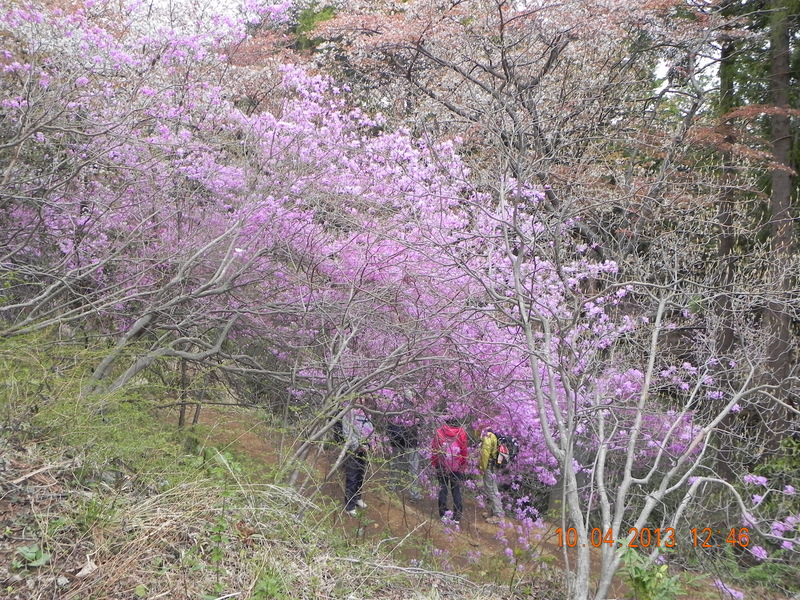 there was much lesser sakuras on the way up & nothing much to add to the experience, so in fact one could skip this part! 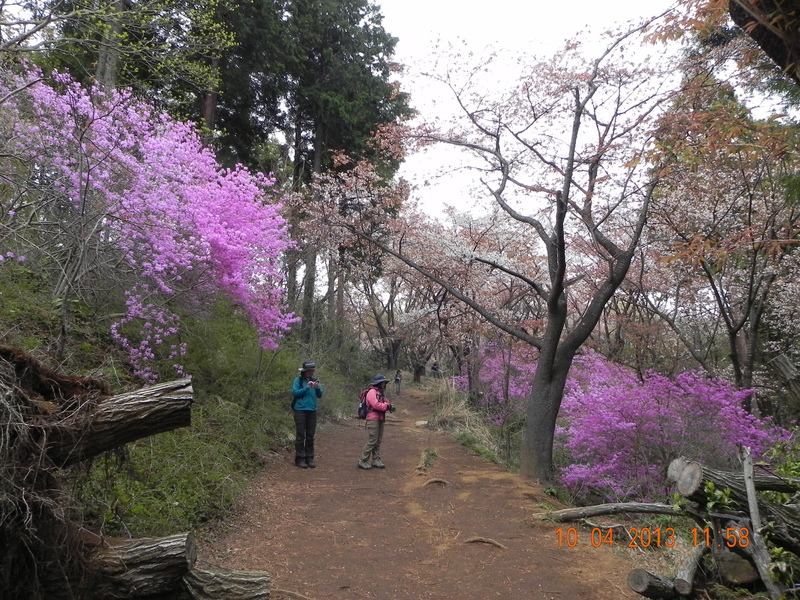 this was one of few sakuras at the resting area at Itchodaira. 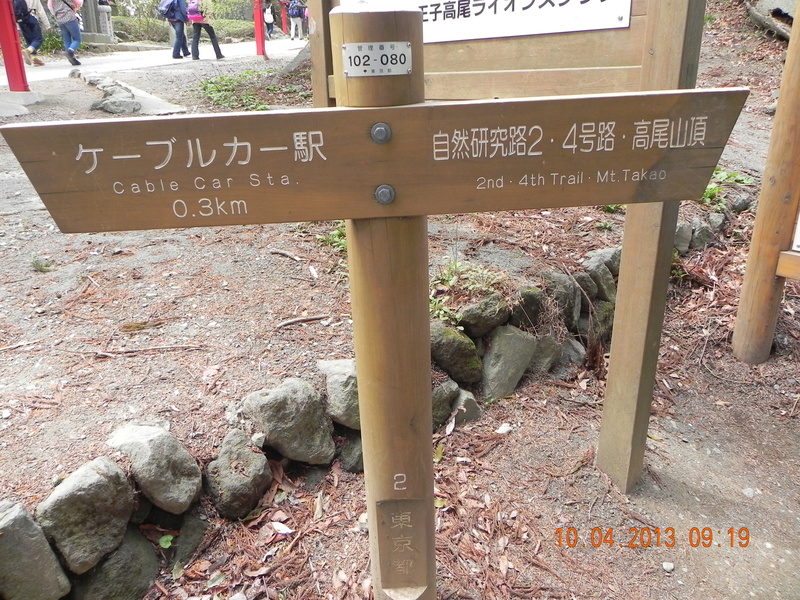 I made my way back to takaosan summit. It was past 2pm & I decided not to risk the journey down route 6. 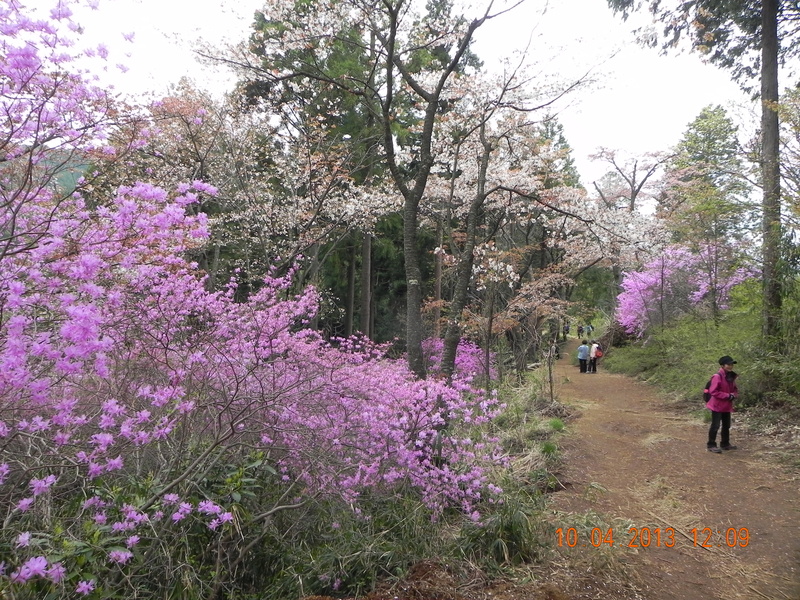 It was actually easier to walk uphill & on steps than to walk downhill & especially on a slope, and the natural compensation for my injured left toes had caused my calves especially right side to take up most strain. 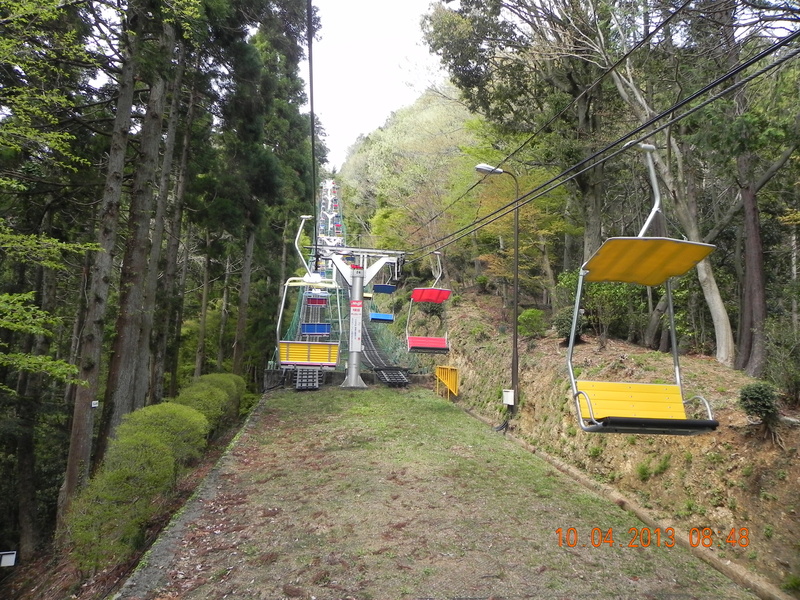 since I came up mid-hill by ski-lift I decided to take the cable car down. there was a queue of people (about 10) buying the read bean dessert. 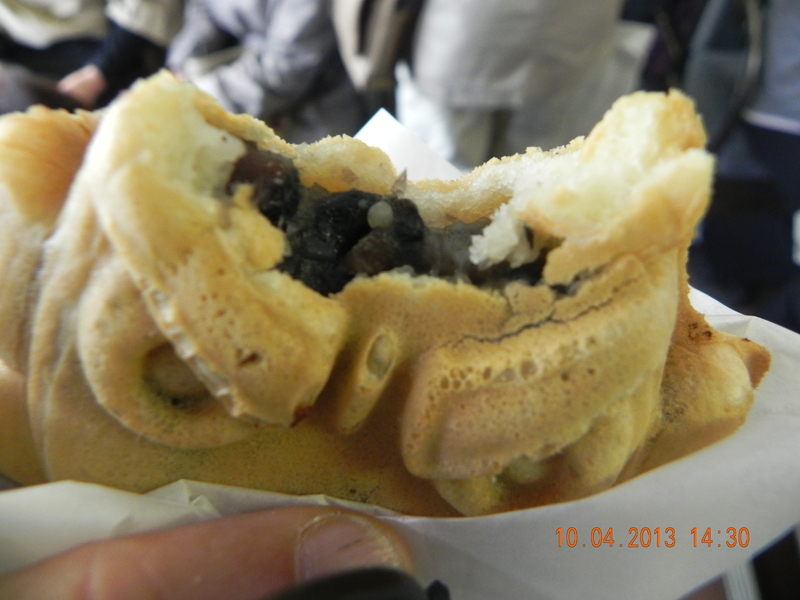 I decided to try one (it was very good hot & crispy outside fluffy inside though too much of read beans). the queue time turned out to be much longer as there were quite a few buying a few packetfuls like 30 pieces whereas a few of us poor things were waiting just to get one! 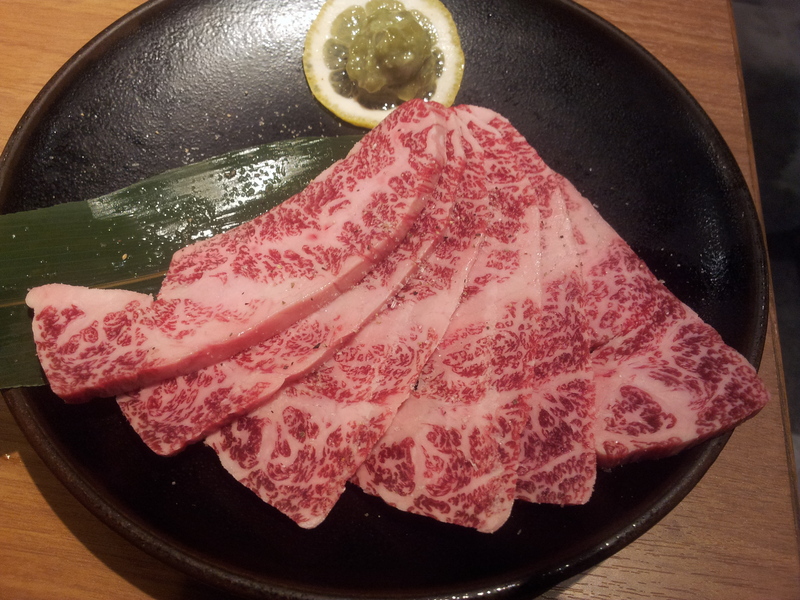 was considering couple recommended yakiniku restaurants in Shinjuku like Kurumaya & Jojoen (which was also highly recommended by a good friend). 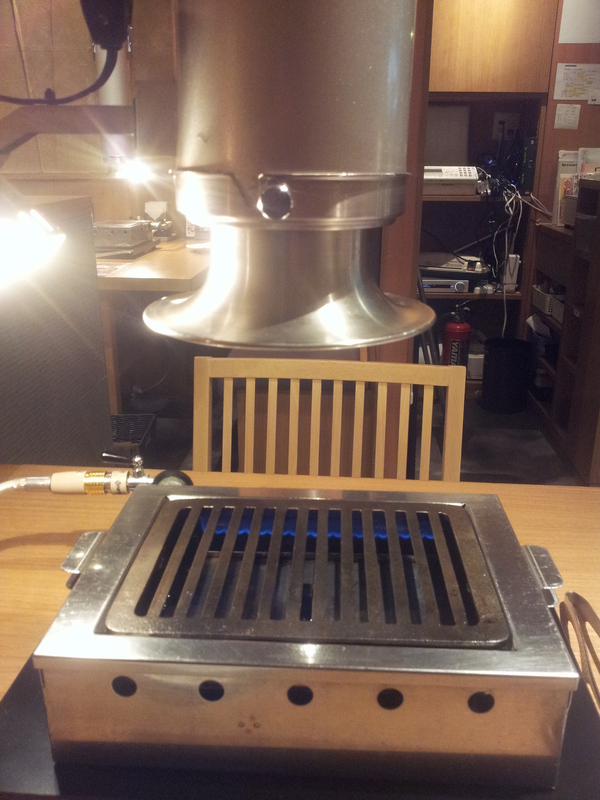 I found Jojoen (叙々苑) with little difficulty at 7F of a building just across the road from Shinjuku East Exit. 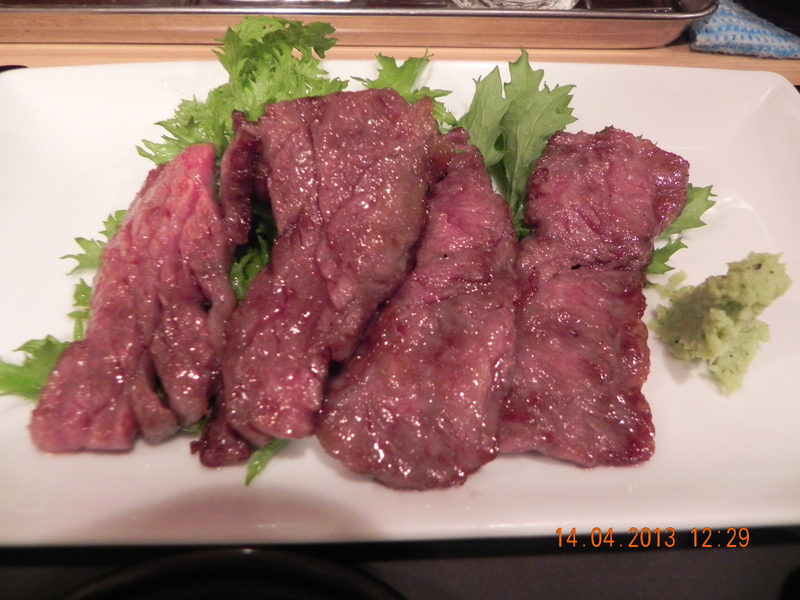 🙂 as was shown on the website, Jojoen had quite good 1700yen & 2700yen set lunches, both were Japanese beef (国产牛) but not kuroge. It had good lunch traffic and was clearly a popular restaurant. 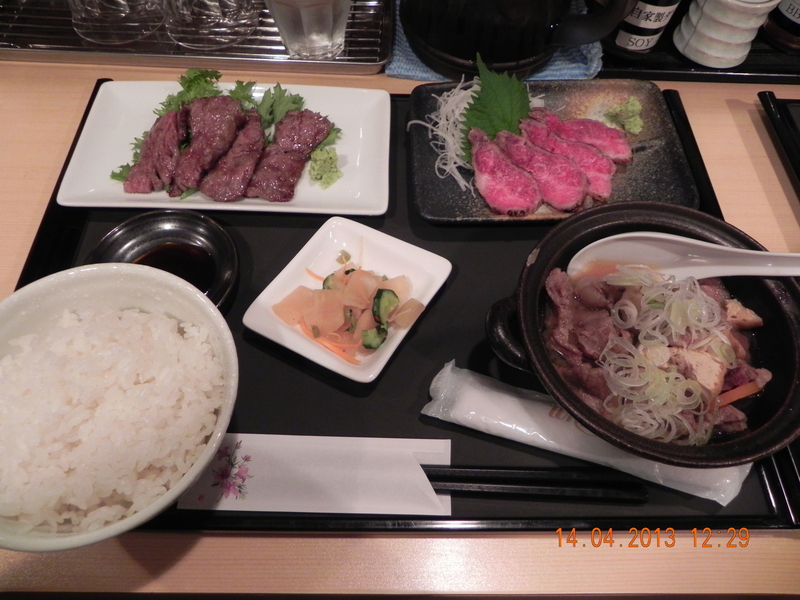 I had wanted to try out Kurumaya as it had a lunch kaiseki set which included beef for 5500yen so I continued on. 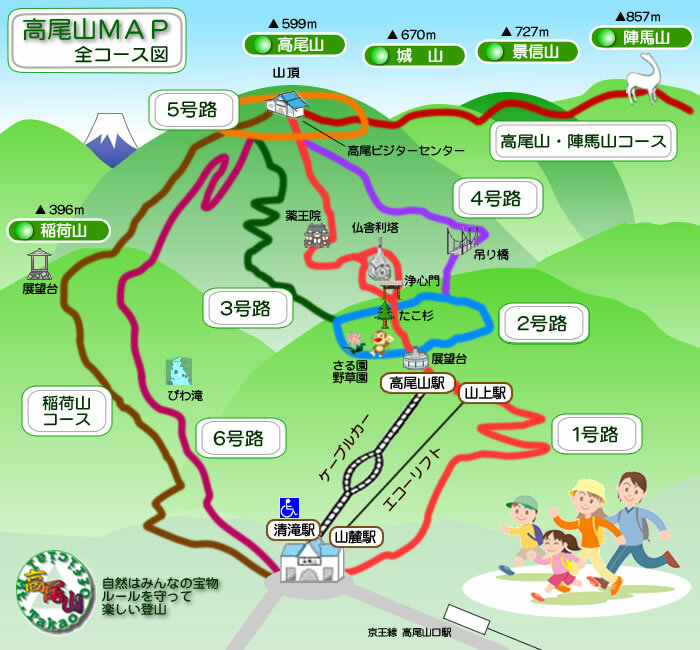 however I was not able to locate Kurumaya w/o my map & GPS (as I did not subscribe to the unlimited roaming service on 14apr2013). 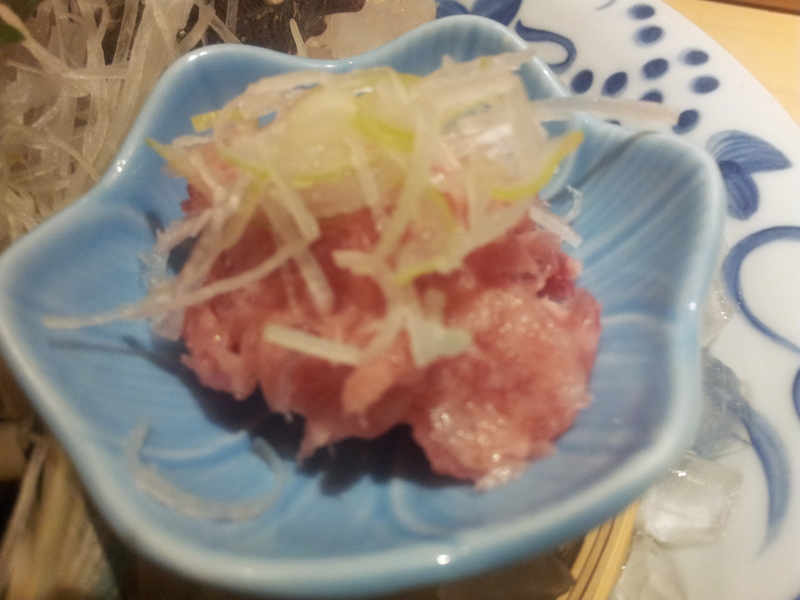 the set included 4 slices of kuroge wagyu (黑毛和牛) sashimi – I just love beef sashimi – and they were very sweet, tasty, not chewy & w/o residue. :-). 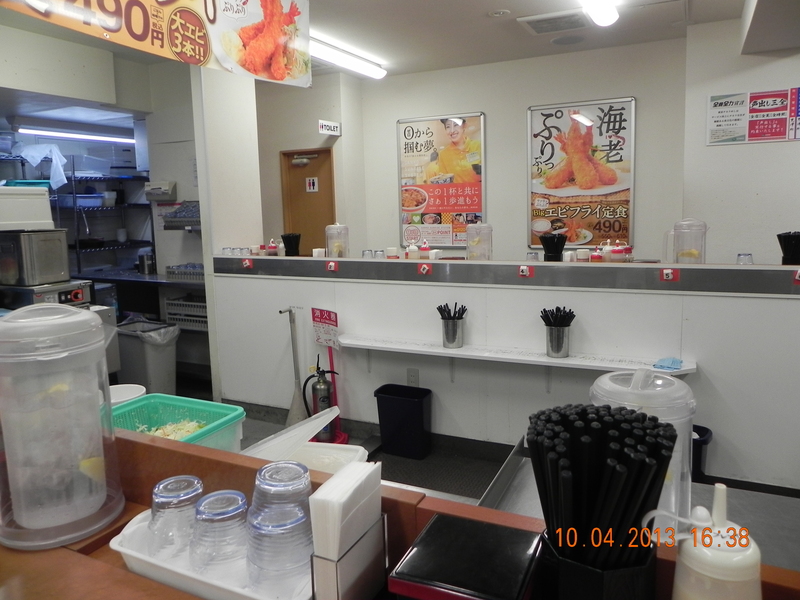 The shop name was in hiragana or something so I tried but was unable to locate the shop on internet. 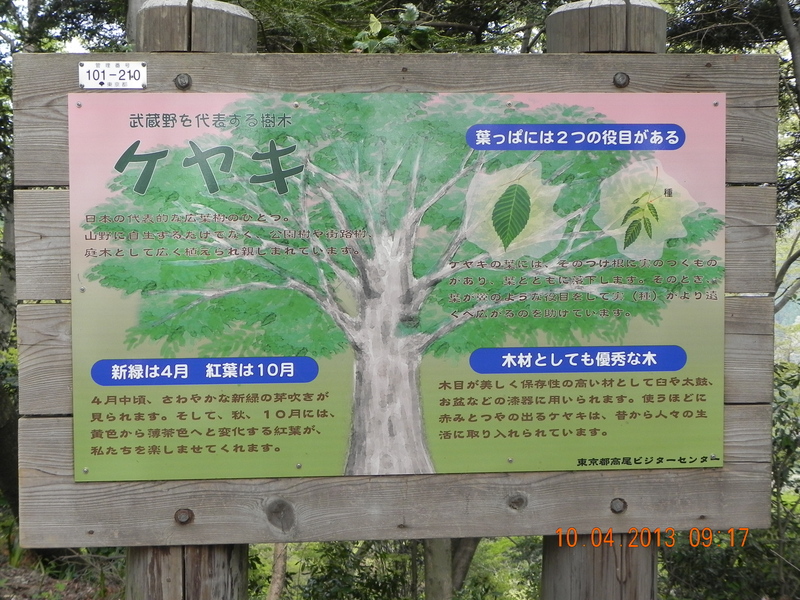 anyway I was quite sure that I would have no difficulty to physically locate this place again. like when I cook a 8-course dinner for 10 friends, or a buffet for 23 friends, it’s all about planning – the dishes, marketing, preparation & timing to start each dish etc. so same for me when it comes to trip planning, it will not work for me to mistake unpreparedness & lack of research & planning as spontaneity. flights – the advent of low cost carriers have really trigger mass travels. for 30 years I have been travelling exclusively SIA, but for the last 2 years, I have done quite a few trips to Shantou & HK on Jetstar. for this trip, I was travelling alone and SIA cost like $1100 for lone traveller. Scoot (a new LCC subsidiary of SIA) was offering around $500 economy return c/w closer to $700 by Jetstar, and since Scootbiz was just $150 more (& very much less if you were to include the 2 free meals + 20kg check-in luggage + free flight entertainment) & it was an outgoing night flight, I decided to take Scootbiz outbound & return by economy. The only downside is a stopover at Taipei! My $680 fare was in fact about same as what my daughter paid for China Eastern economy return (which stopped over at Shanghai!) I also researched on the seats! according to seatguru.com, Scoot has the largest seat width at 19″ to 20″ for economy and 22″ leather seats for Scootbiz for the 777-200 aircraft for this flight; that c/w JAL’s 17.3″ for economy and 18.5″ for business, Cathay Pacific’s 18″ for economy & 20″ for business & SIA’s own 17.5″ economy & 20″ business seats for the same aircraft & Jetstar’s 18″ for economy & 20″ for starclass for A330-200 aircraft. destination planning – this has got to do with what you want for the trip. 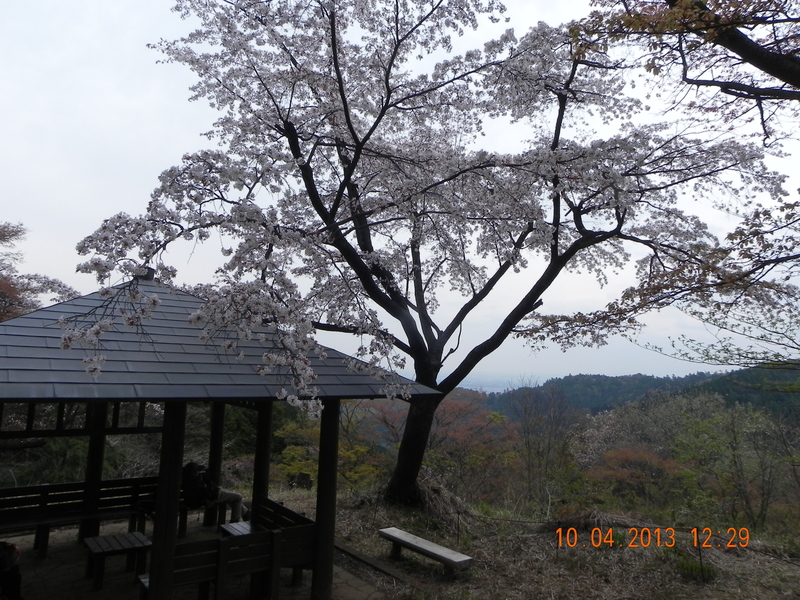 for my case, it was (1)chasing sakura (2)some trekking (3) lots of food 🙂 thus I checked out the top hanami (花见which means sakura viewing) spots, and where to go for later flowering sakura like at Shinjukugoen & also at higher altitude like takaosan (600m); and of course I researched also the takaosan trails, and the Shinjuku restaurants! transport – this is very key because of cost & time. 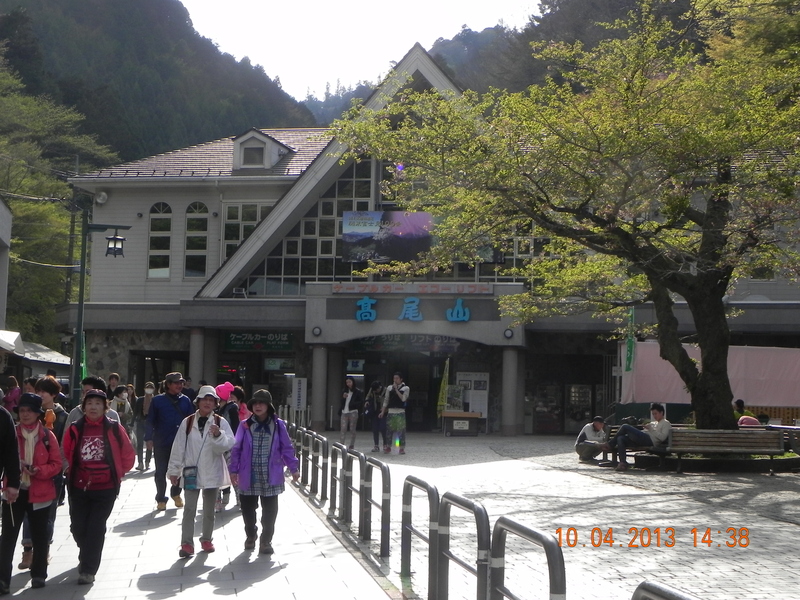 In Japan it is very confusing as you have JR Pass, JR East Pass, JR Kanto Pass and all the places you want to go (like in my case Takaosan, Nikko & Kamakura, and Izu which I dropped) are served by private railways which you have to pay a hefty supplement. 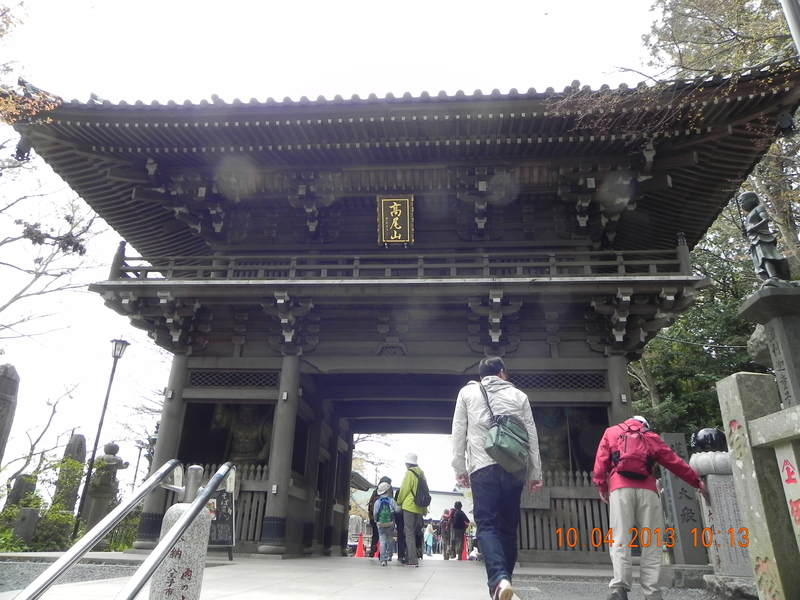 For example the All Nikko Pass works for Tobu Nikko Spacia trains which connect from Asakusa which means you have to plan to get from Shinjuku to Asakusa to connect. If you use the JR Passes, in order not to have to pay hefty supplements, you have to get to Tokyo Station and take the Tohoku Shinkansen line instead! See this important guide here! 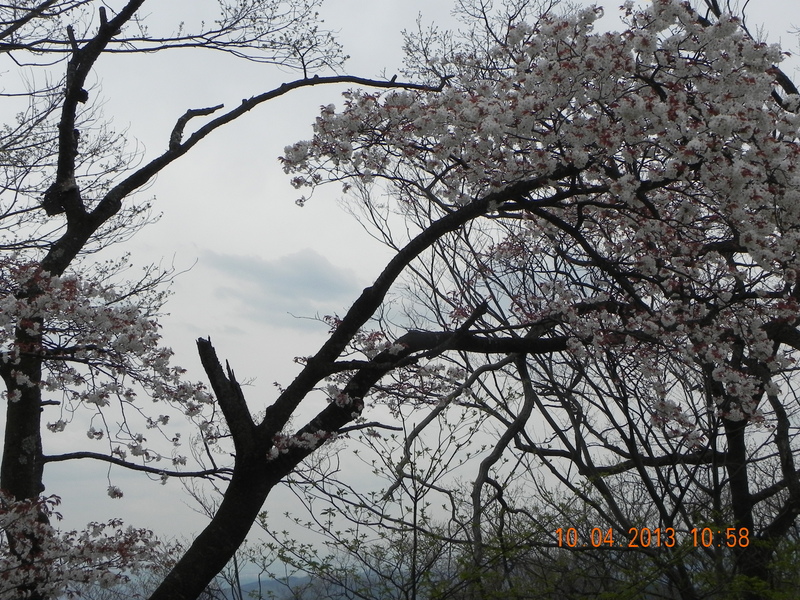 and there is one more variable – the weather! 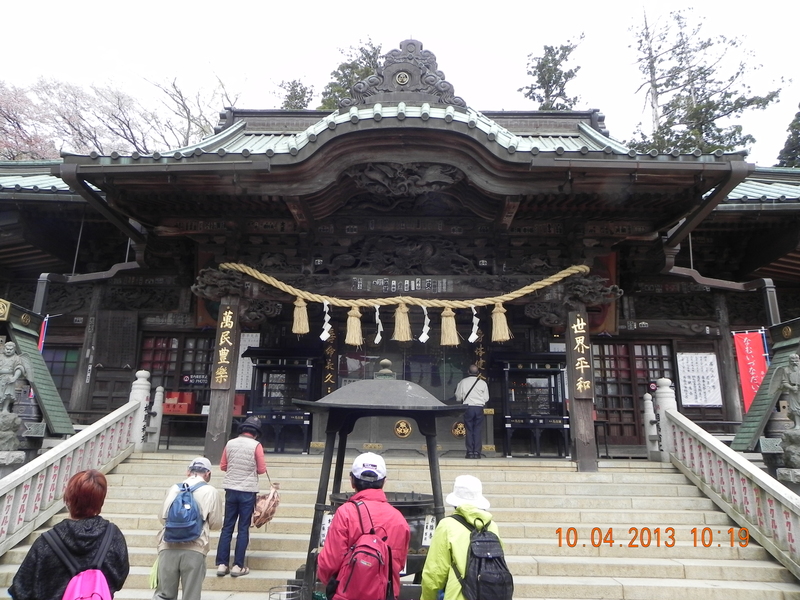 you do NOT want to take a 3 hr journey to Nikko when it is raining or go to Hakone when it is downcast & you cannot see Mt Fuji! so your daily destination plan has to follow closely the weather reports which maybe wrong of course! as my good friend told me=that’s life! anyway I was fortunate that during my 7 days in Tokyo I was blessed with glorious sunshine and pleasant weather(or perhaps it was I who blessed the Tokyo-ites haha..). 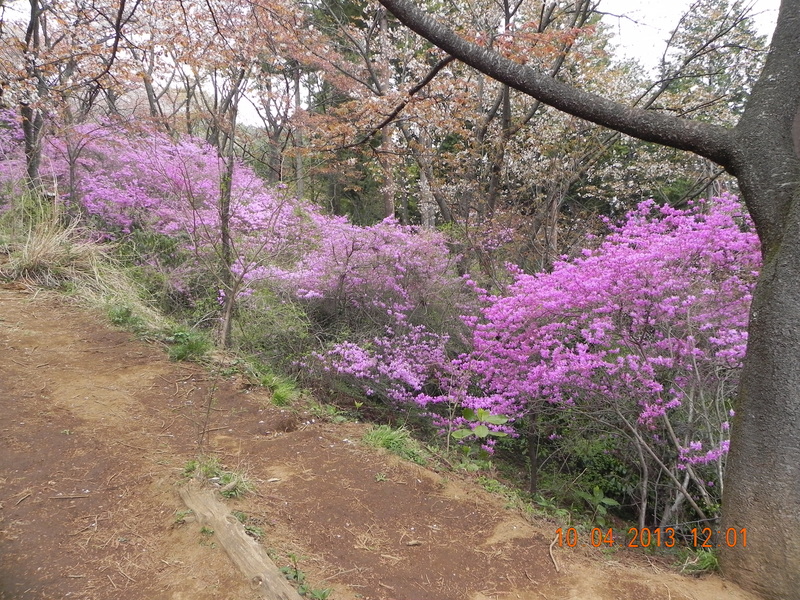 🙂 it was no compensation for missing the sakura full bloom though, but hey that’s life! 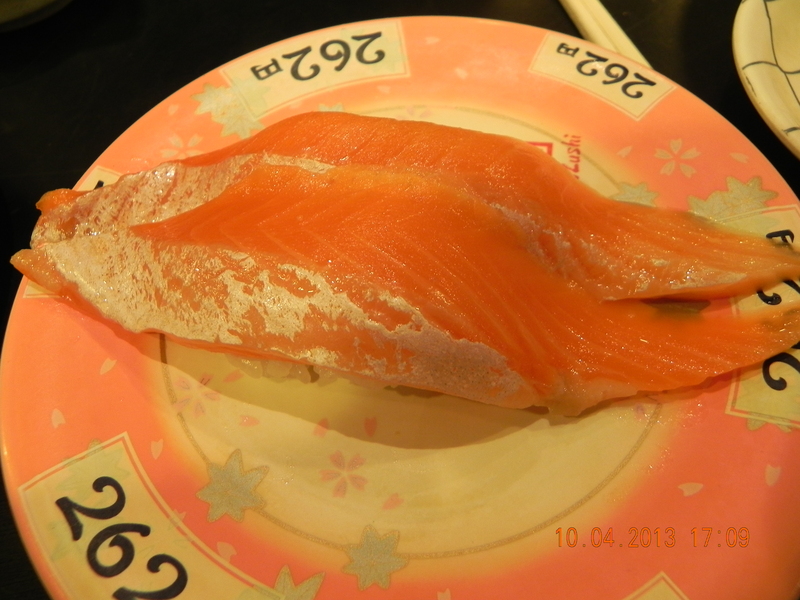 I was having coffee with my daughter & JH at a Shinjuku cafe after a satisfying meal at Ganso Sushi, a kaiten (conveyor belt) sushi (回旋寿司) shop on 12apr2013. My daughter just returned from a full & wonderful day trip to Hakone having glorious sunshine & clear view of Mount Fuji, and I was asking her if she liked to retire early as her hotel was at Asakusa area, but she wanted to have a coffee together. We were chatting about various things including her starting work soon after graduation and the career options for her & JH. I asked about her starting salary & she asked what she should give to me. I told her I knew what she would give to my wife but if she would like to give more she could give all to my wife. She said “no la, I like it to be the same”. So I told her I would accept of course and that my belief was in life it was just as important to receive as to give, which my daughter nodded affirmatively her concurrence. All parents would be more than happy to receive any token appreciation from their children as they commence the next lap of their life’s journey with new jobs & financial independence, without placing too much burden on the children. It is both a great feeling for the children to offer and for the parent to cherish the offer & to reinforce the positive energy by showing appreciation for the offer. Though we mostly know how short & transient life is, and what make us happy & how we should try to be positive, the world is so filled with tragedies, depression, anxiety, anger, sadness, and we are continuously invaded & distracted by negative thoughts throughout the day. Why not try overly hard? The thing is that if you have expectations that others must share what you believe, think what you think, or understand or appreciate what you do, then (1) your mood which reflects your true self however you want your self image to be will not be relaxed & expansive & you will be just putting pressure on yourself (2) there will be lack of earnestness and instead of generating positive energy, you will be generating negative energy. So try hard we must, because without effort there is no earnestness. I recall The Alchemist by Paulo Coelho said something like “When you want something, all the universe is conspiring to help you achieve it”. My understanding of this is that when you do something in earnest without having an ulterior motive or expectation but at the same time you are serious & fully committed and want it in all earnestness & enjoy & are happy doing it, then the positive energy trigger & bring forth all the positive energy from everyone else, so everyone is happy to help you achieve it. So to me, the purpose must be to increase the happiness of myself and all around me. and so it is a pleasure to give. it makes people happy and make yourself happy. at the same time it is a pleasure to receive and to show the same earnestness in receiving – the appreciation & happiness. 🙂 if you belief that giving makes you happy because you also want others to be happy, then it follows that others feel happy when giving and if it also makes you happy to receive (please do NOT accept anything if it does not feel right or make you happy to do so!) then let others have that happy feeling of giving and positive energy & goodwill will multiply. Like the saying goes “sorrow lessen and happiness multiply when shared”. 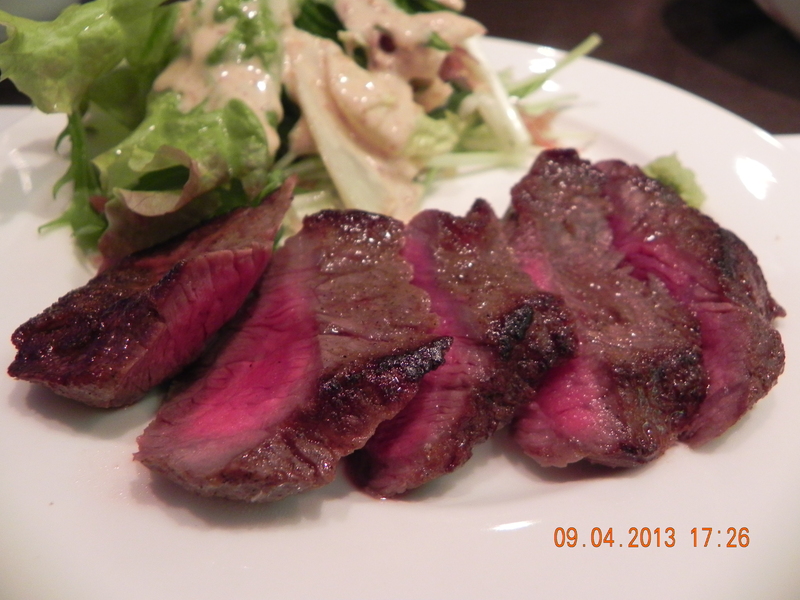 JH & I had the 7-course with kuroge wagyu beef dinner. 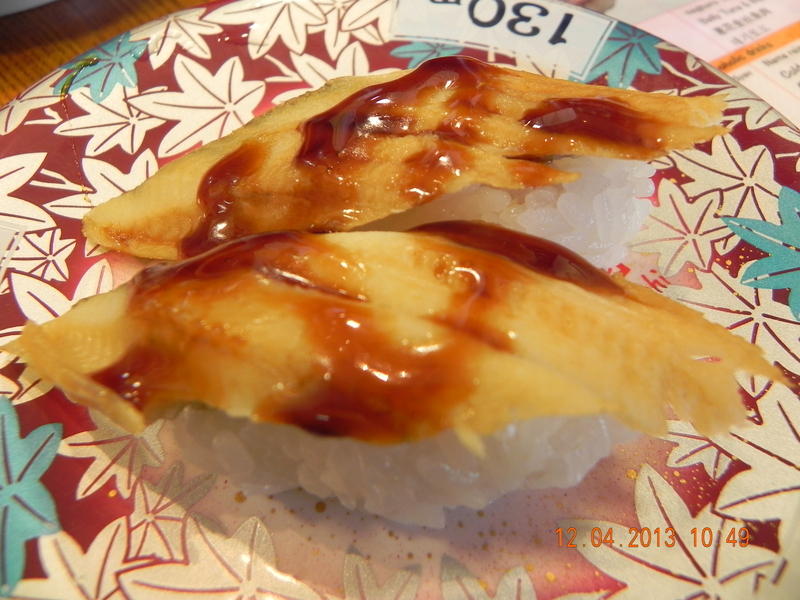 My daughter had a 10-item sushi moriwase set. 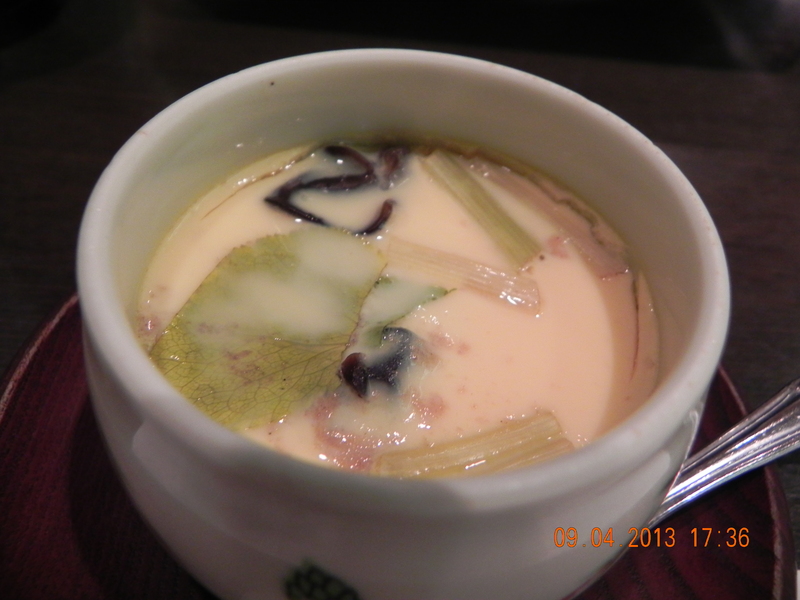 the veg salad, chawanmushi & miso soup were non-events. 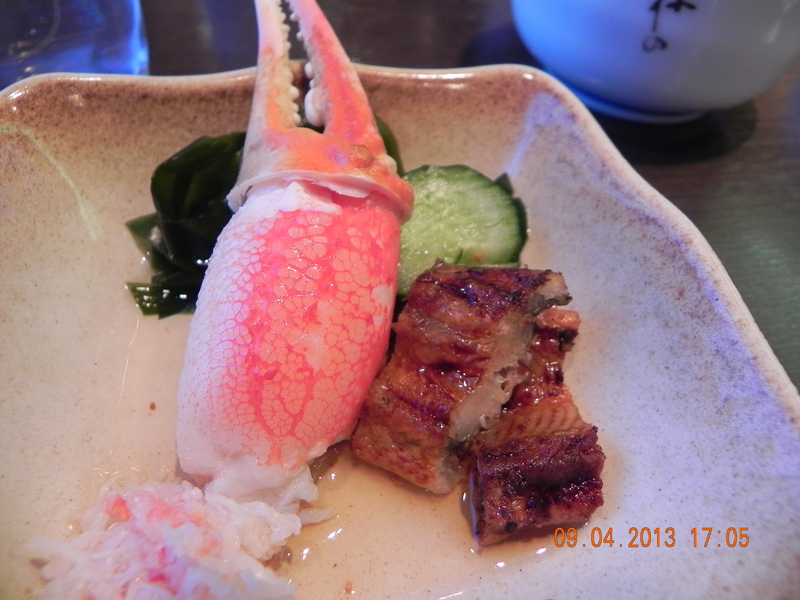 the crab & unagi vinegared dish was very tasty. 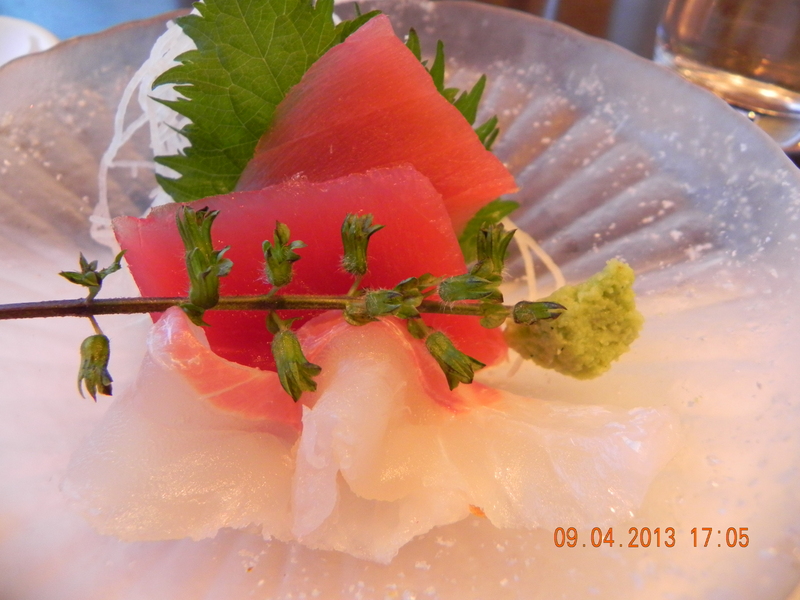 the sashimi were very average even for Singapore. 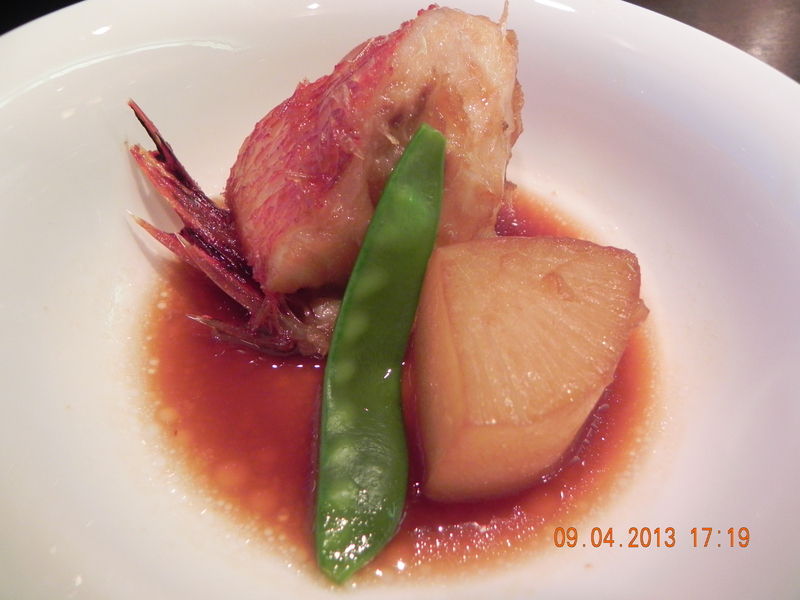 her set also included the vinegared crab dish & miso soup. was the dinner worth it? my daughter’s set cost 2730yen=S$30++. 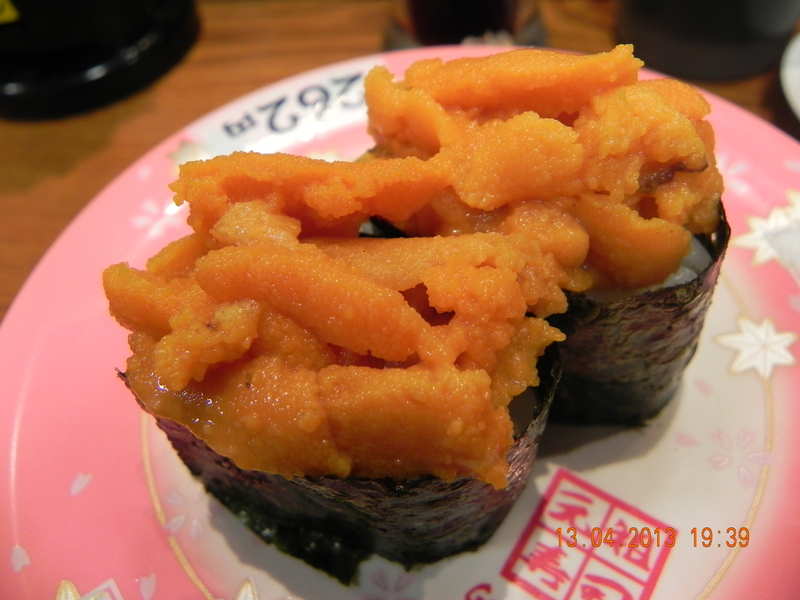 good kaiten sushi not withstanding, S$30++ for a plump, succulent, sweet hokkaido crab claw + 10 piece sushi including akamai, uni, anago, ikura, hotate would really be nothing to complain about in Singapore. & that was before factoring in the free view of Shinjuku night skyline, privacy & quiet ambience. 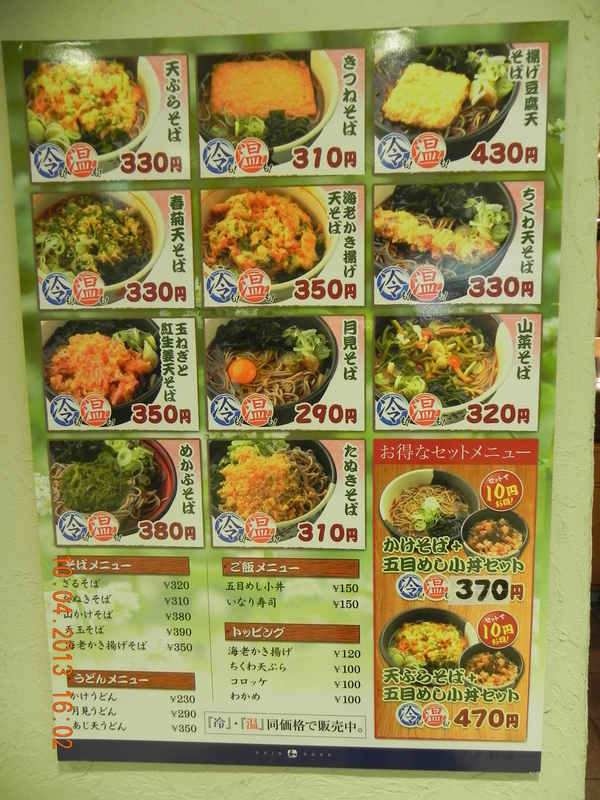 They have english & picture menu as in most eats in Japan. 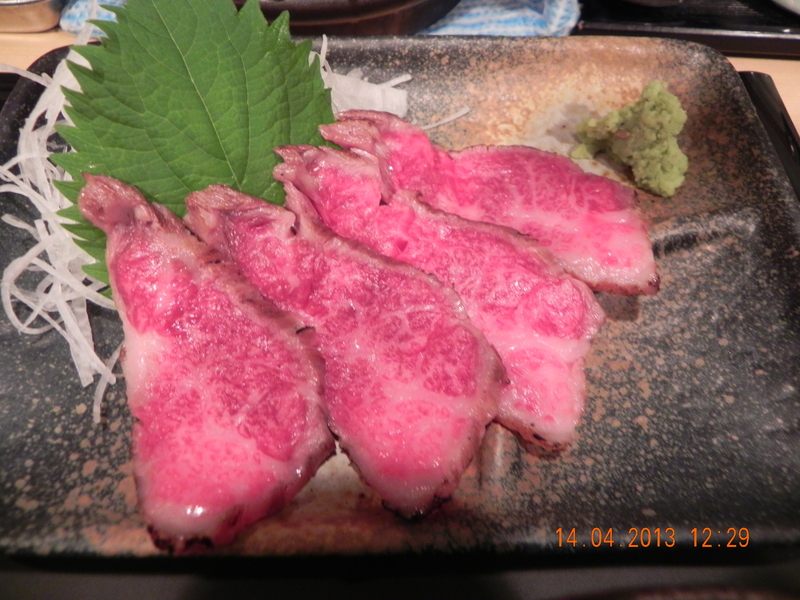 Not knowing how the meat standard was relative to the price, I elected to have the special taster set which included 3 types of kuroge wagyu for 1980yen. 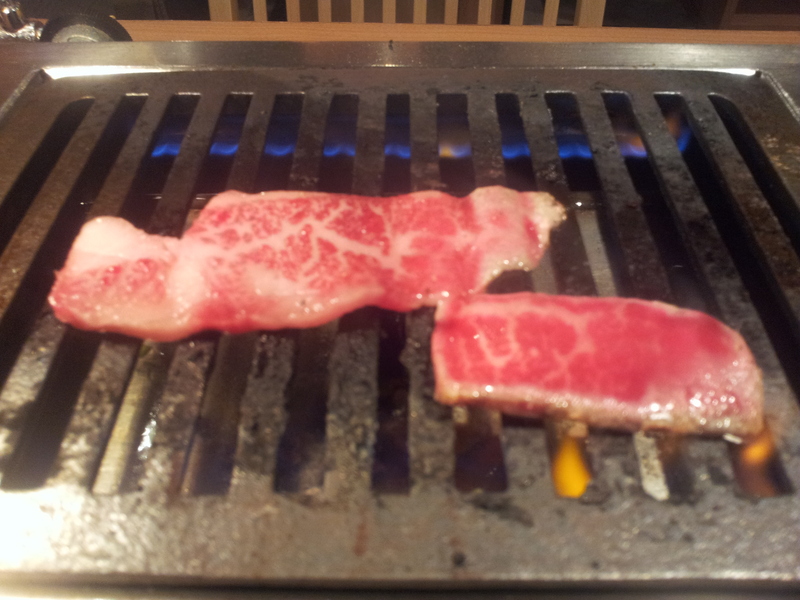 all the meats were good & I enjoyed all of them, especially the 2 very marbled wagyu at the bottom of the above photo. 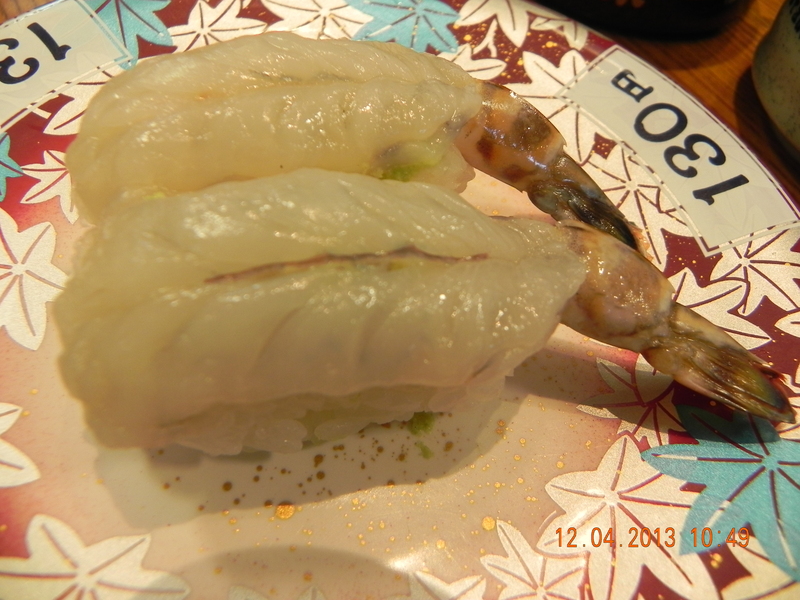 🙂 I think high temperature flaming (aburi) whether it was on marbled meat or on oily fish sushi or sashimi (like aburi toro) made a superlative improvement to the already great marbled taste. 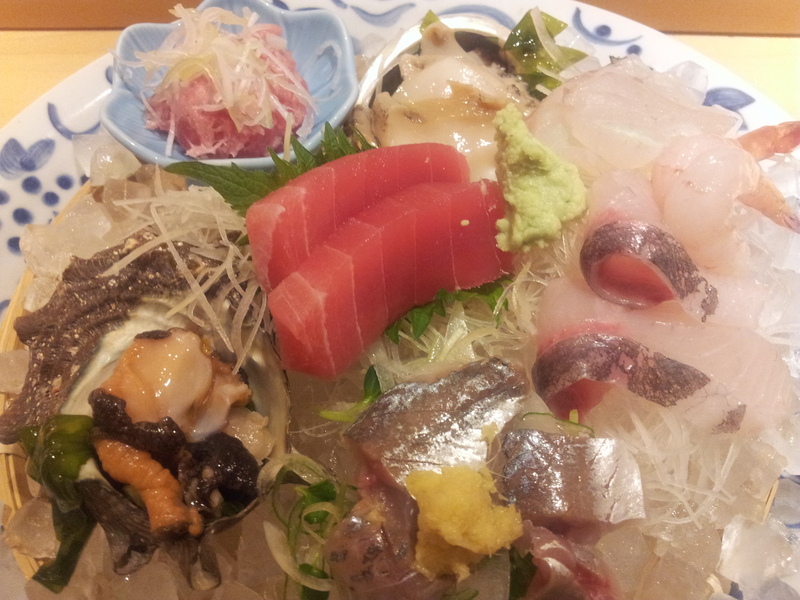 So my dinner added up to 3160yen nett. 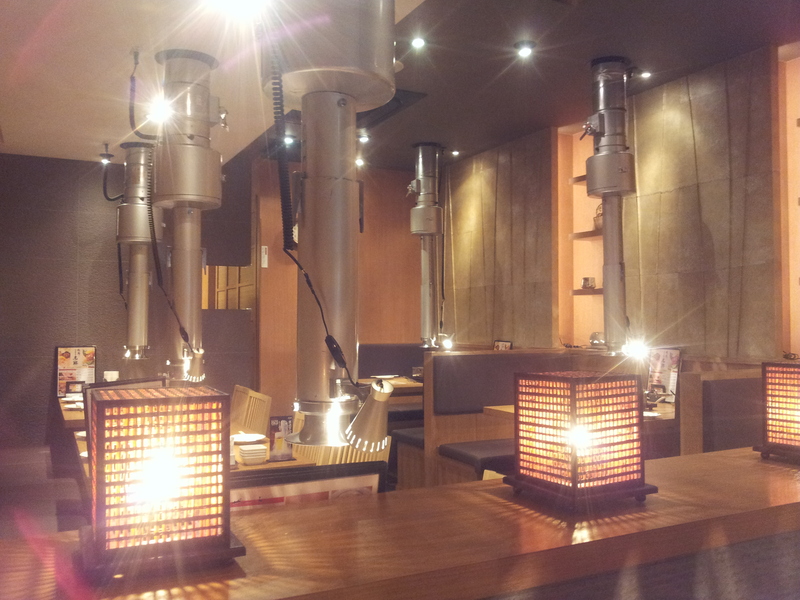 you could also order beef tongue, scallop/prawn/seafood & bibimbap here as well as a set of 4 kimchi. Today is my rest day. The trips to Takaosan & Enoshima-Kamakura the last 2 days were rather tiring, each entailed >5hrs of walking on my injured toes. 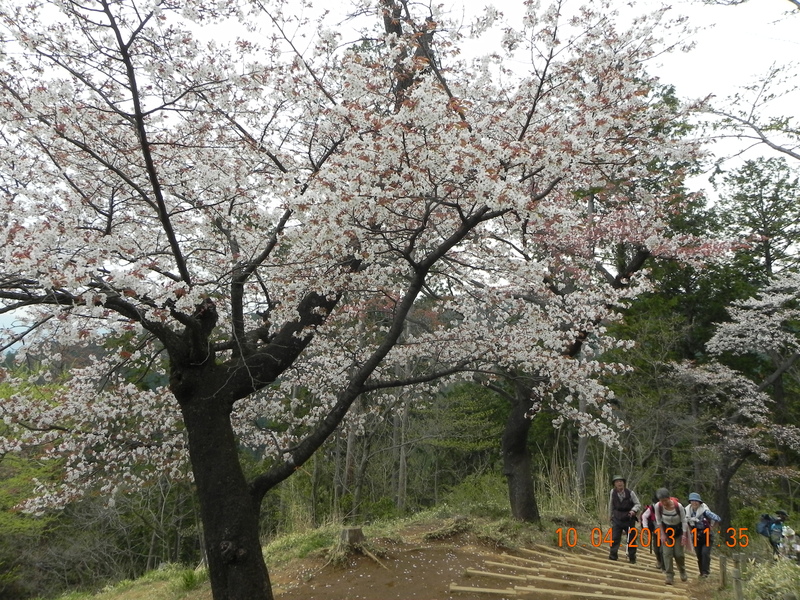 🙂 Today I plan only to stroll around Shinjukugoen to catch any remnants of sakura flowering and later to pick up the All Nikko Pass from Tobu Pass Office at MB1 of Shinjuku Centre Building. 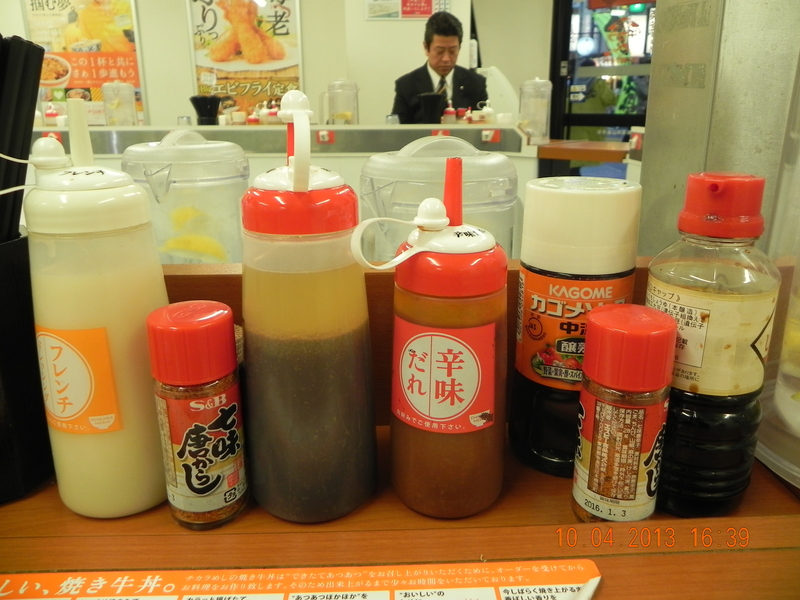 Like the other kaiten sushi shops, there was a powdered tea box where you dished out tea powder (I picked the toasted rice tea 玄米茶 ) & added hot water from the tap, and you can help yourself with the pickled ginger (see above photo). 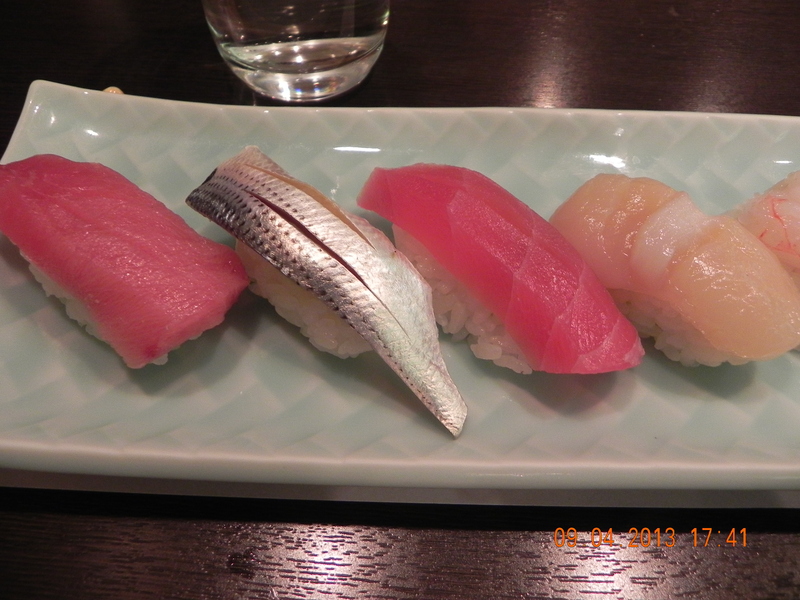 Total cost = 912yen for 12 pieces, about S$12nett. 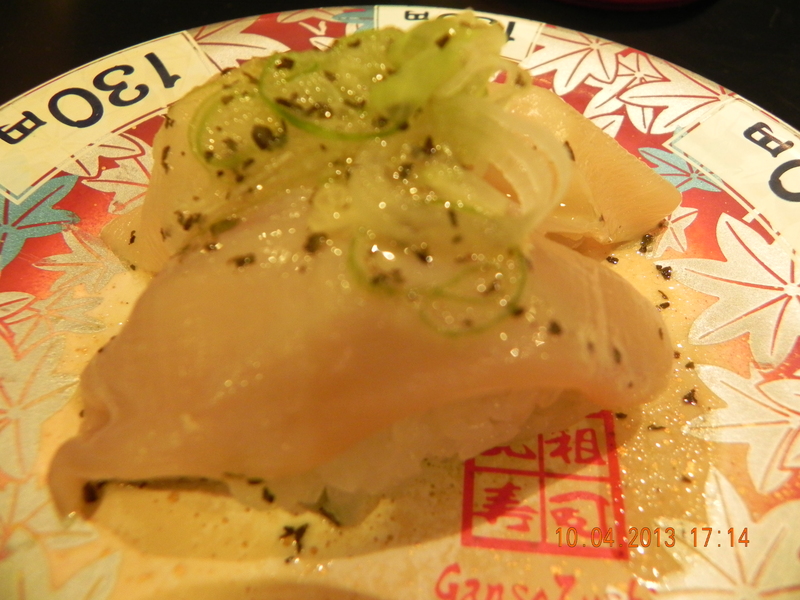 The hamachi standard was inconsistent. The one on the above right photo was excellent. The one of the left was just ok. I could not tell from just looking at them. The ika was good not great. 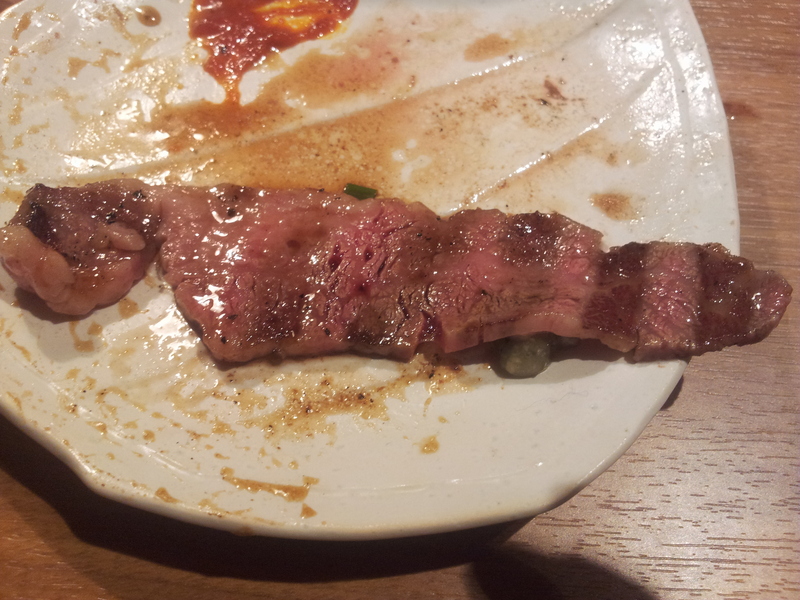 So was the anago. This the cheaper version. I did not take the 262yen ones which were like 2 times the size (in length). maybe I should have! 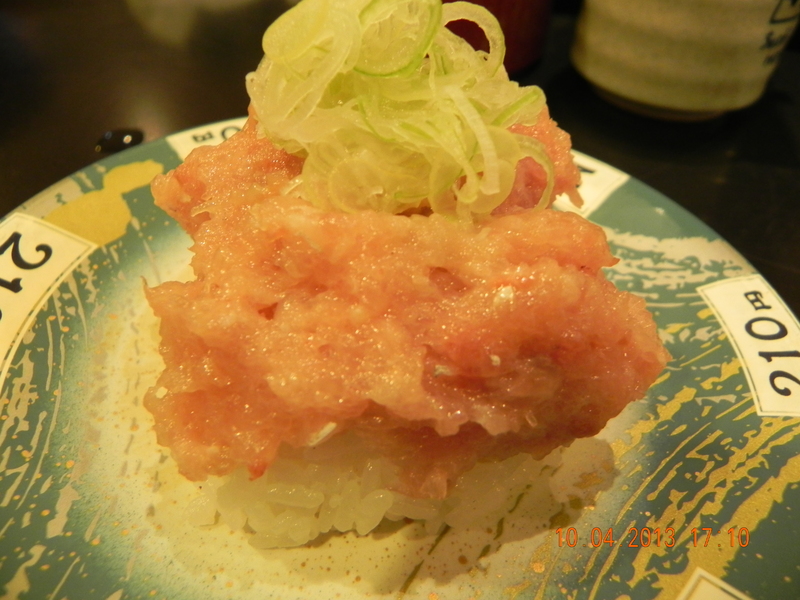 had a nice dinner & great view at Asahi Sushi on 50th floor of Shinjuku Sumitomo Building with my daughter & her friend last evening, so decided to go for some cheap food this time round after my exhausting 5 hr+ walking trip to Takaosan (高尾山). as I returned on the Keio line. 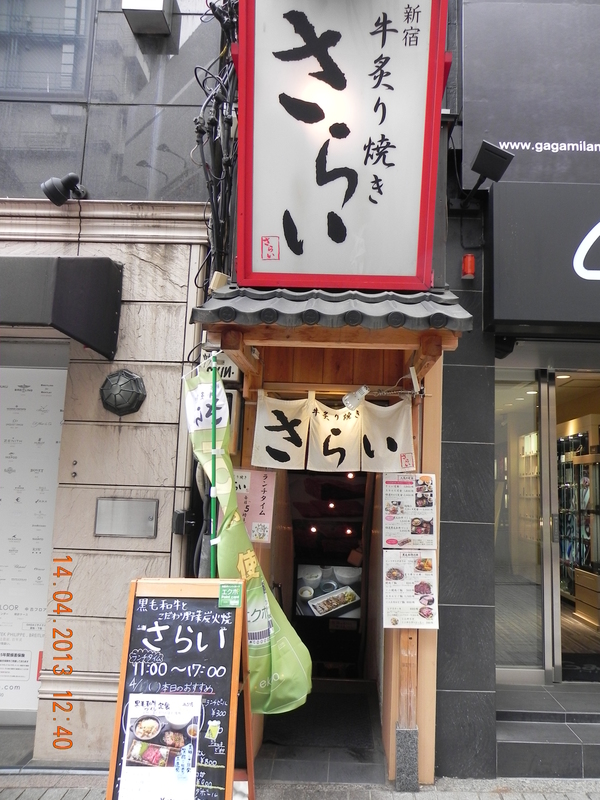 I recalled this soba shop which I had wanted to visit. There was no difficulty locating it after the fare gate. :-). 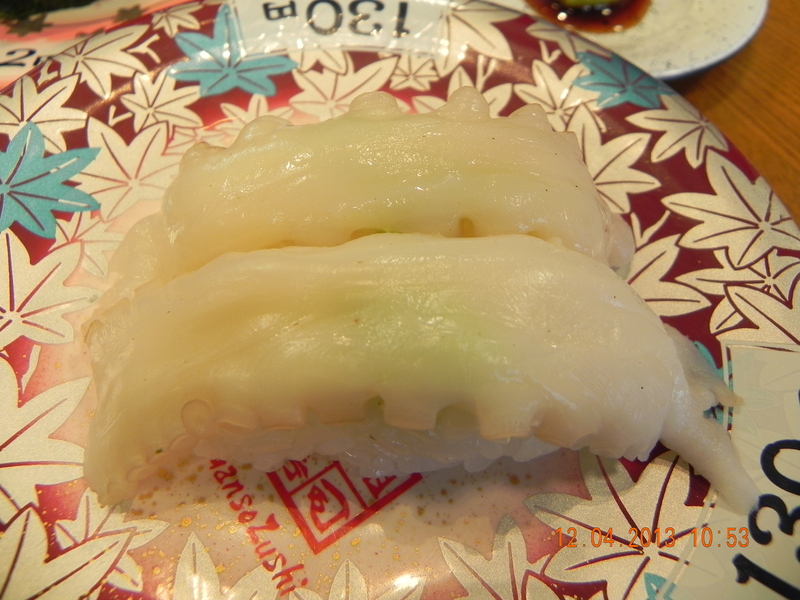 I surveyed the available options and picked a 350yen soba which came with an ebi (the super tiny kind) tempura – see photos below. what can I say? 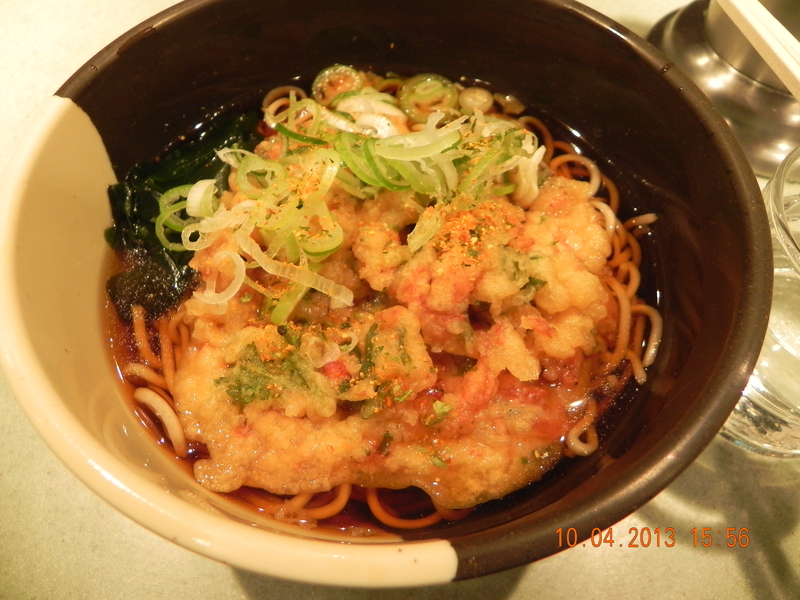 the 350yen soba was immensely gratifying. was it better than the S$3 bachormee (minced pork noodles)? I think not. 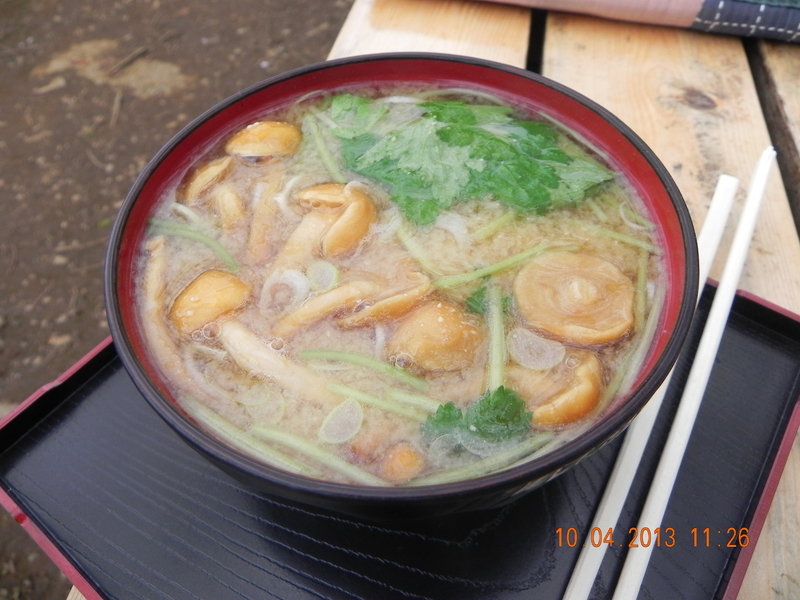 but it is colder here and slurping a warm tasty soba was a very comforting & enjoyable experience. 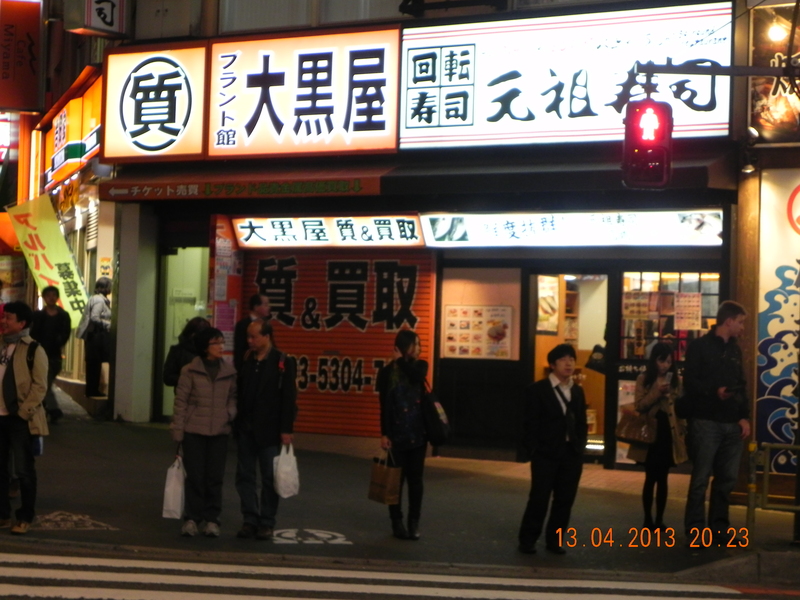 I walked around the streets dotted with restaurants just across Shinjuku West Exit which was also around my hotel Sunroute Plaza. 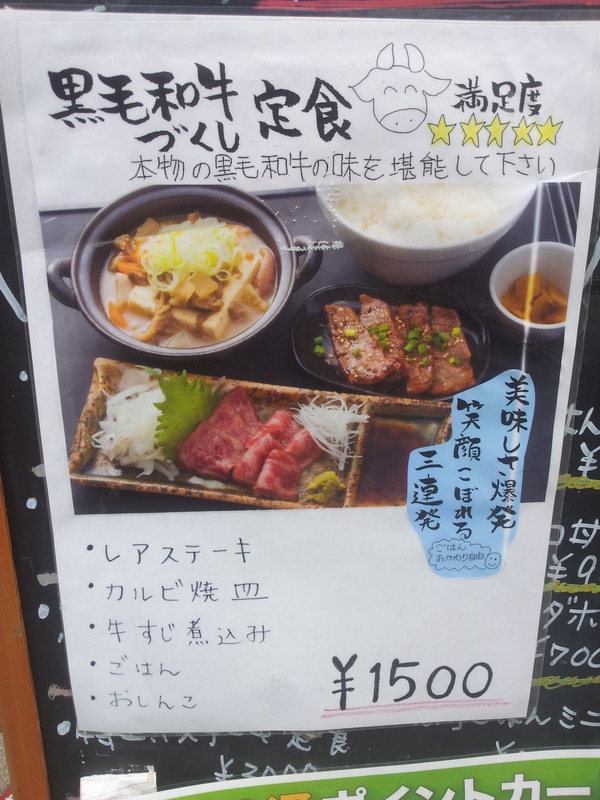 I found this interesting gyu don shop which advertised a thick cut beef bowl. 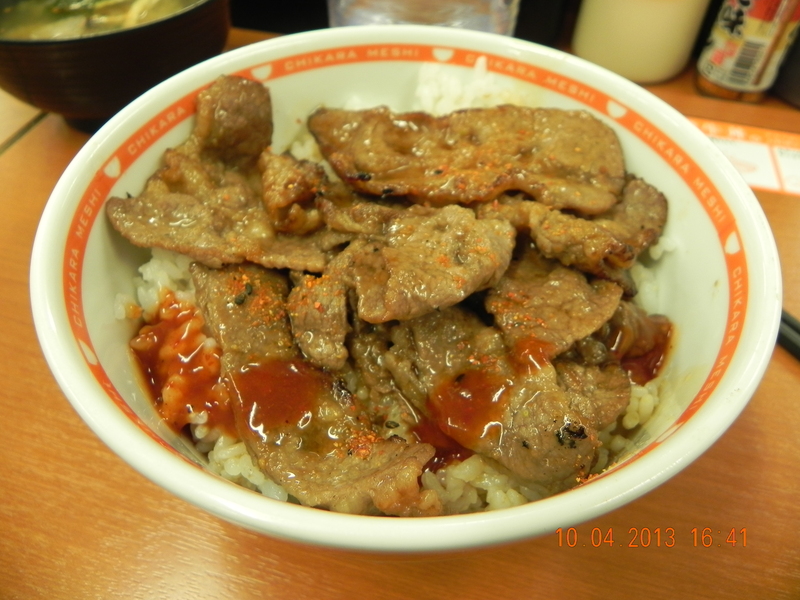 When I first came to japan 30 years ago, I enjoyed very much the cheap gyu don at Shinjuku including Yoshinoya (吉野家). 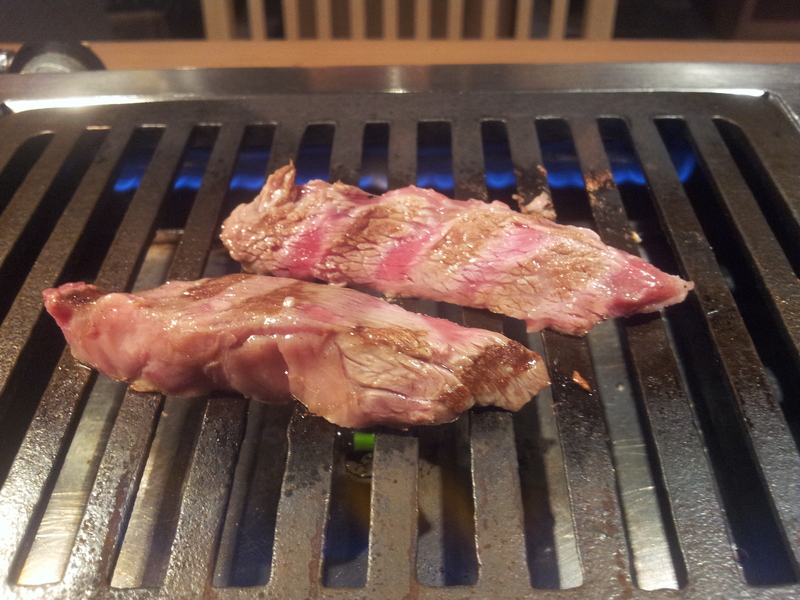 Those use the very fatty thin sliced beef which are similar to the Korean bulgogi cuts. 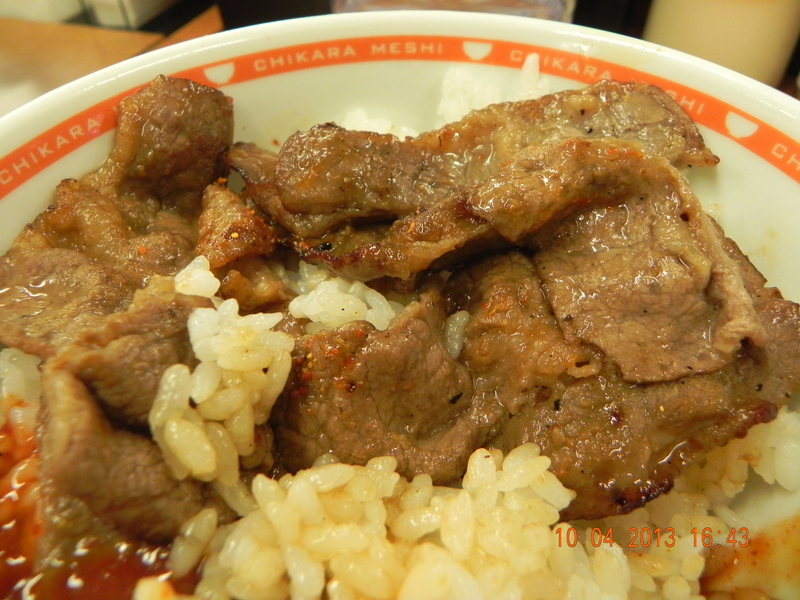 Now lifestyle has progressed somewhat & the Yoshinaya gyu don is not a very attractive food choice. 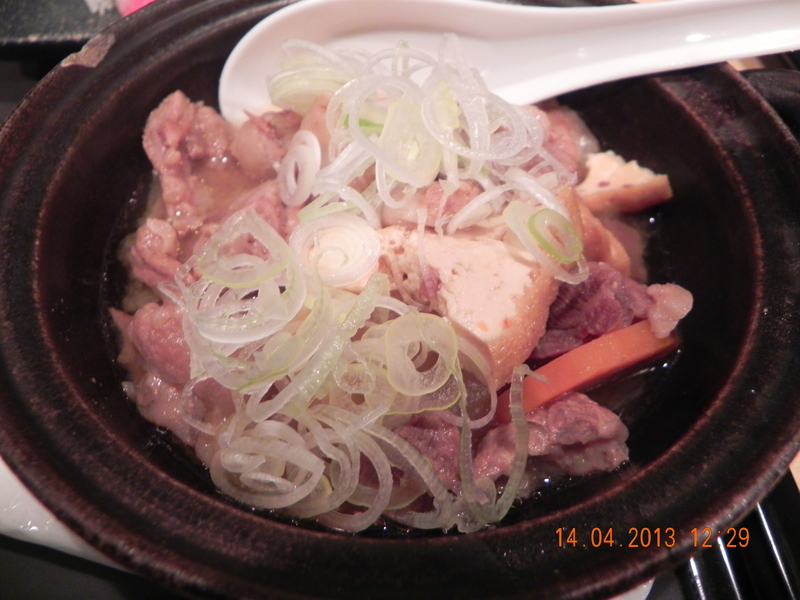 This beef bowl however was quite excellent. 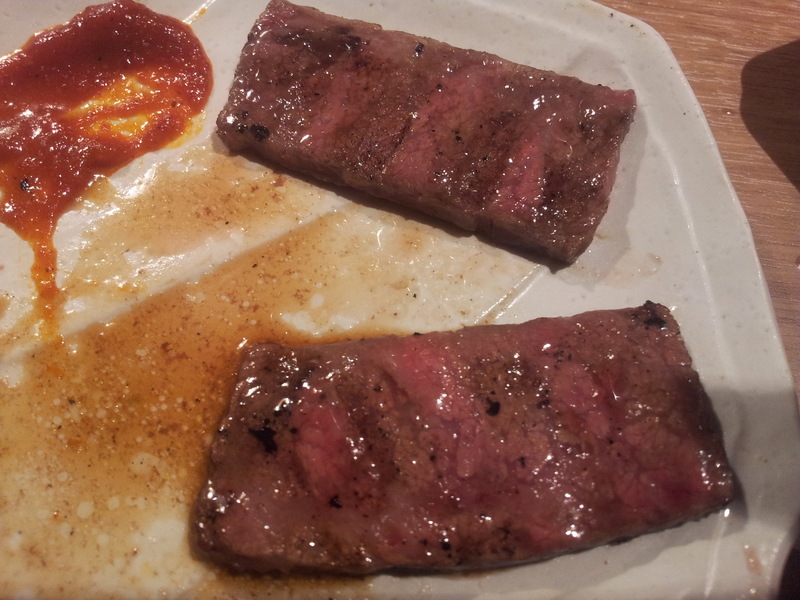 The beef were thick cut as advertised (as seen in above photos) and the many sauces & chilli (see photo below) & rice were all excellent very tasty and enjoyable. 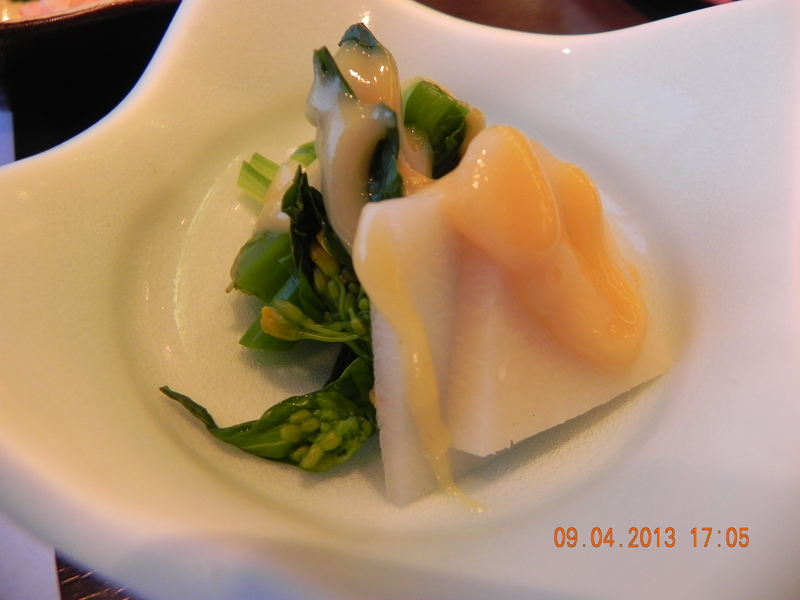 It came with a miso soup & glass of water & you could help yourself to pickled ginger on the table. 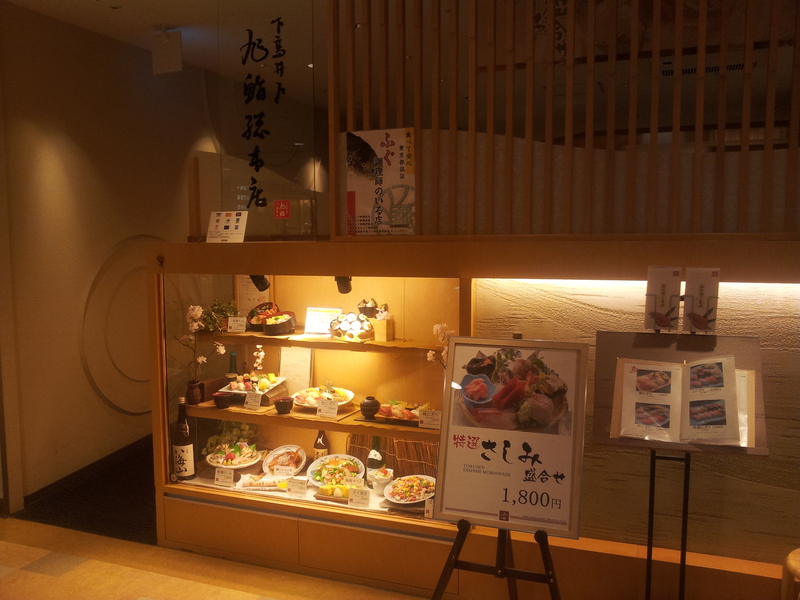 The whole meal costs just 330yen. 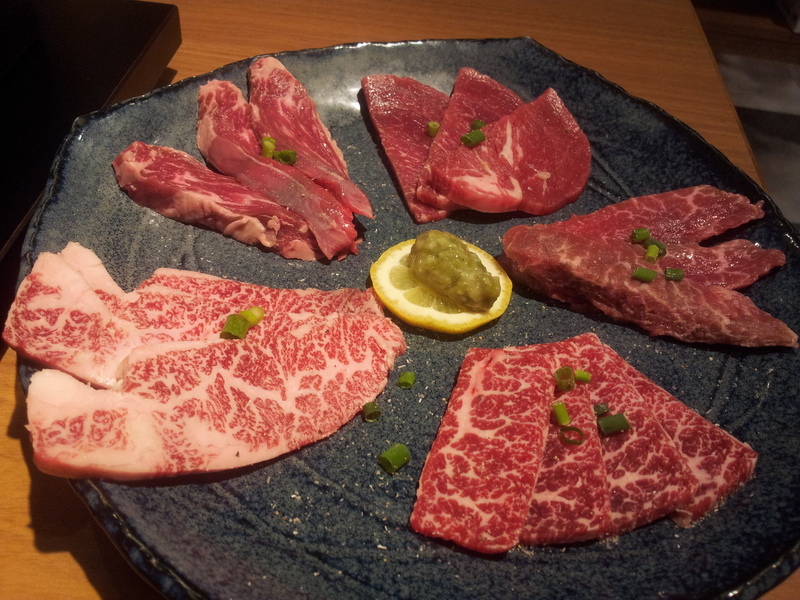 This was a small portion (but was already quite substantial), and you could pick a medium which is 480yen or large, 620yen. 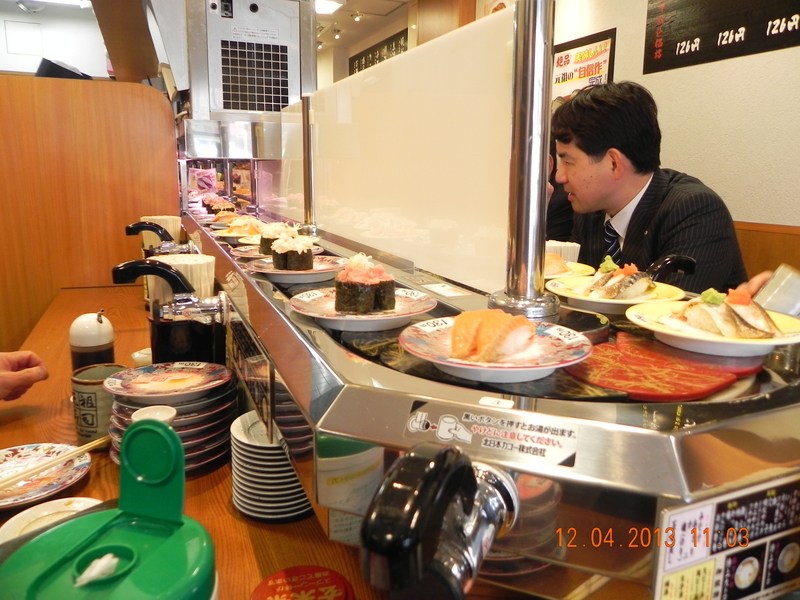 Next I went to try out what looked like a better quality conveyor belt sushi. So basically you don’t need to spend that much money eating in Japan! I was early for 2pm check in at Sunroute Plaza Shinjuku. My Scoot flight TZ202 touched down on time at Narita 11am. I travel only with handcarry (nothing to shop or cart back) for the longest time, and so got on the NEX (Narita Express) by 11.30am and arrived Shinjuku 12.40pm and at Sunroute soon after. So I decided I might as well have a bite. 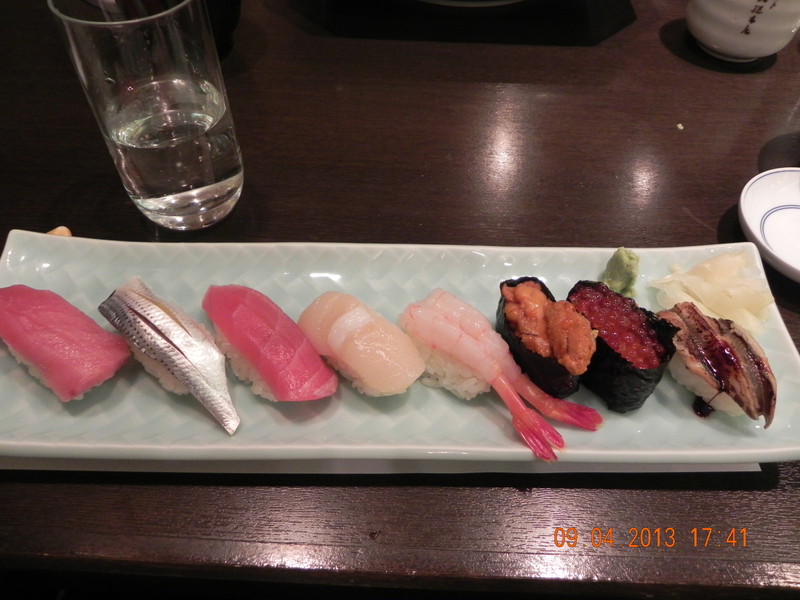 As I was getting out of Shinjuku South Exit, I noticed that there was a Asahi Sushi outlet at Mylord Building there. So I took the short walk (300m) & got on the lift to 8th floor. 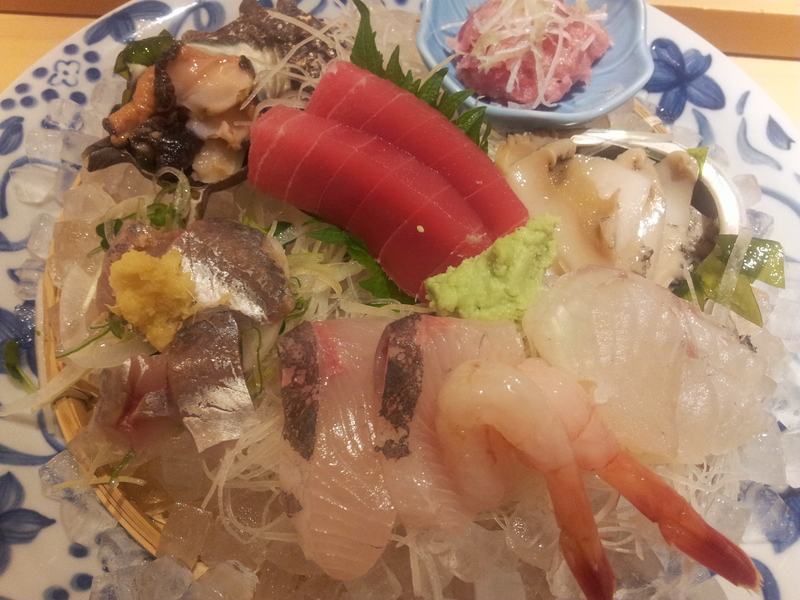 As I was meeting my daughter & her friend later for dinner (they were already travelling in Japan), I decided to just take sashimi. 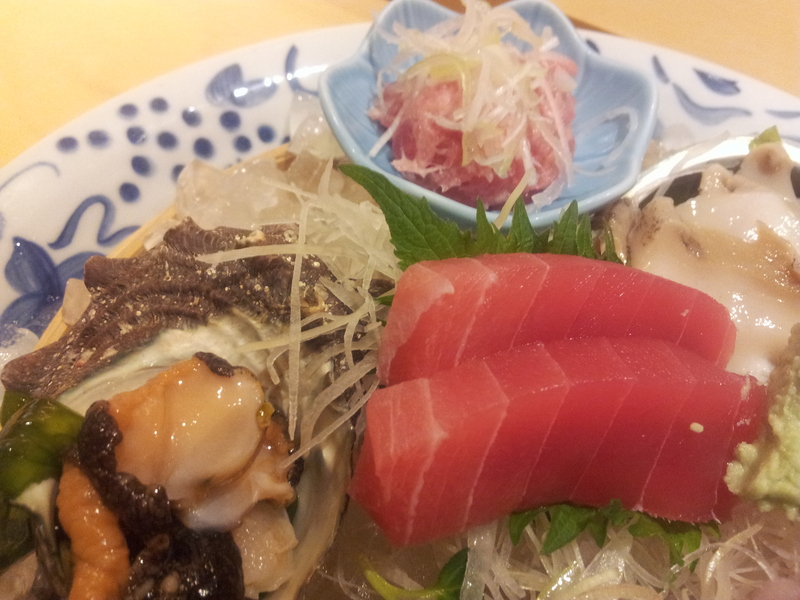 There was an impressive looking Tokusen sashimi moriwase which meant specially selected mixed sashimi (see photo above) at 1800yen, so I decided to just have that. 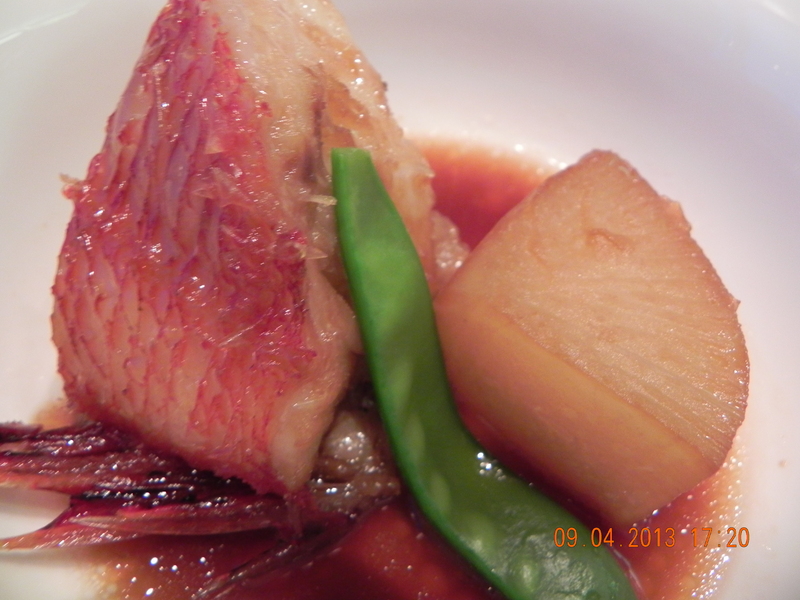 The aji was very good & went very well withe the dash of ginger. 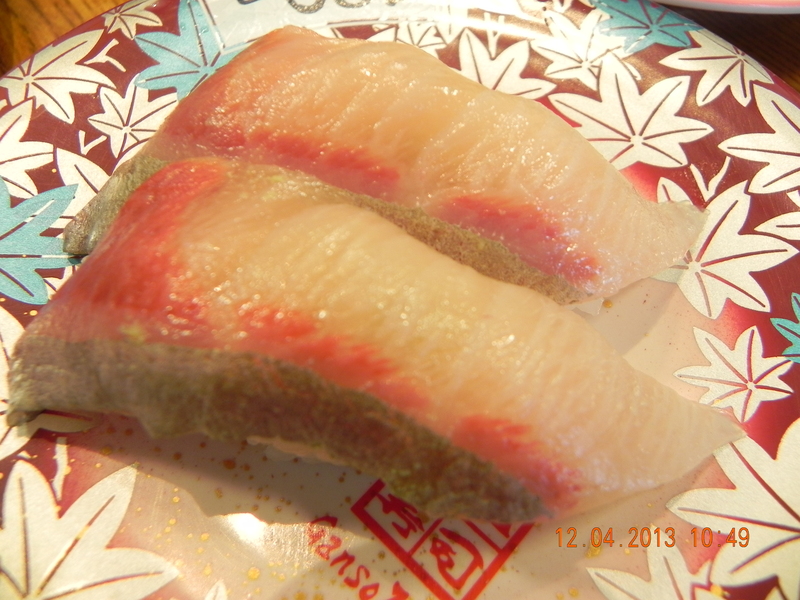 We get very good aji in Singapore as well. 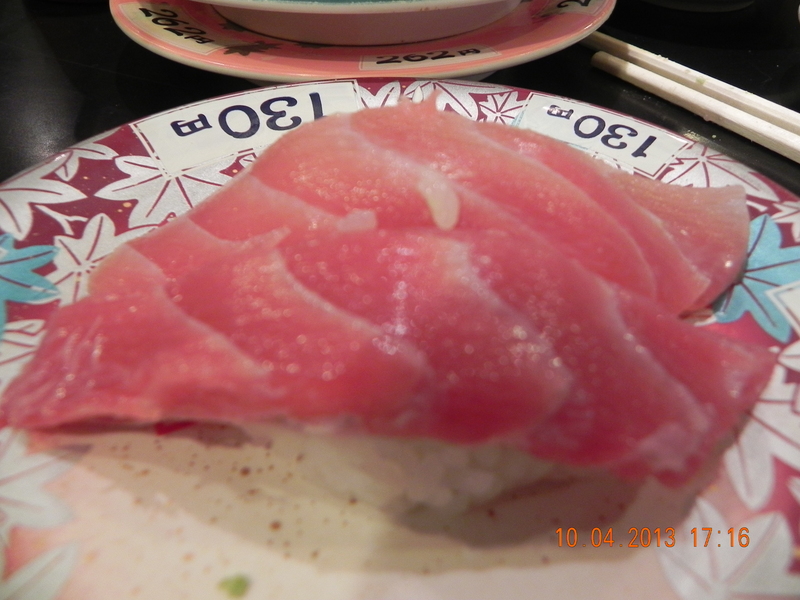 The hamachi were quite ok but I had much better plump ones before. 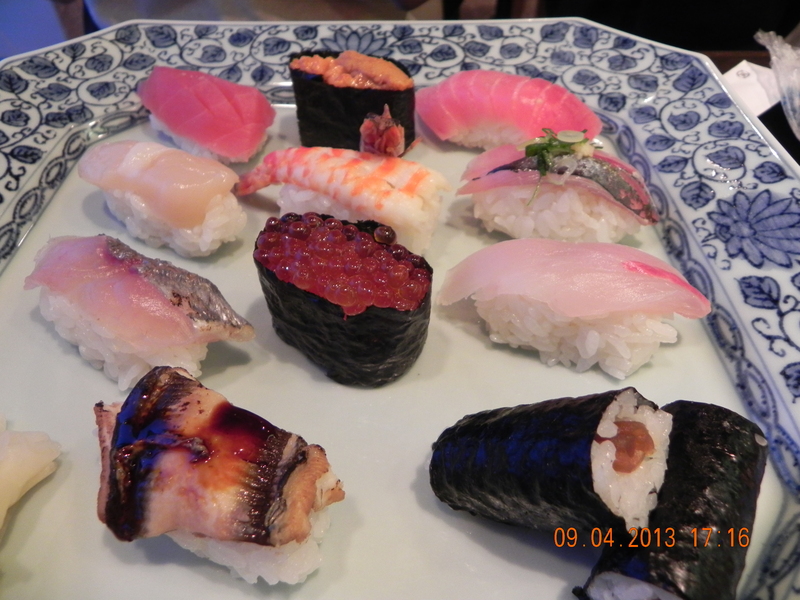 The tai was average but at least not those with much residue, The amaebi was good. 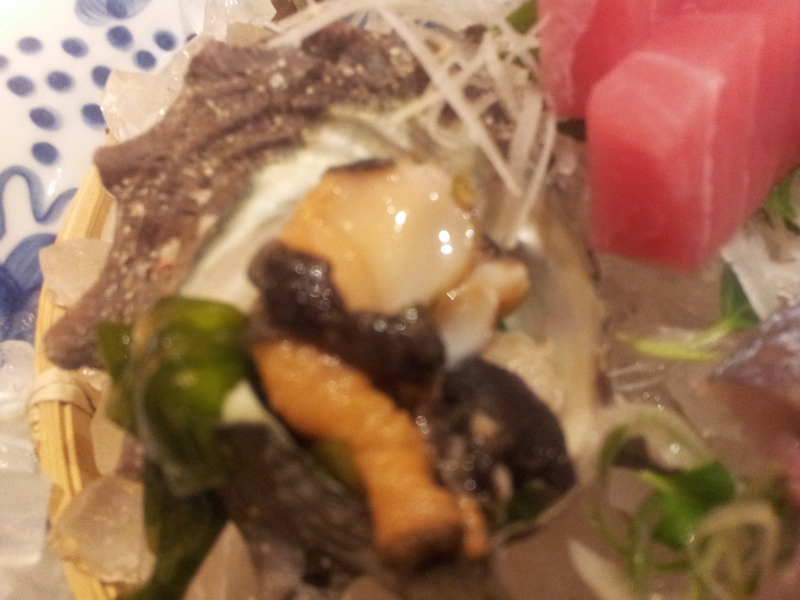 The awabi was fabulous (though the photo was not as I was unable to focus well). 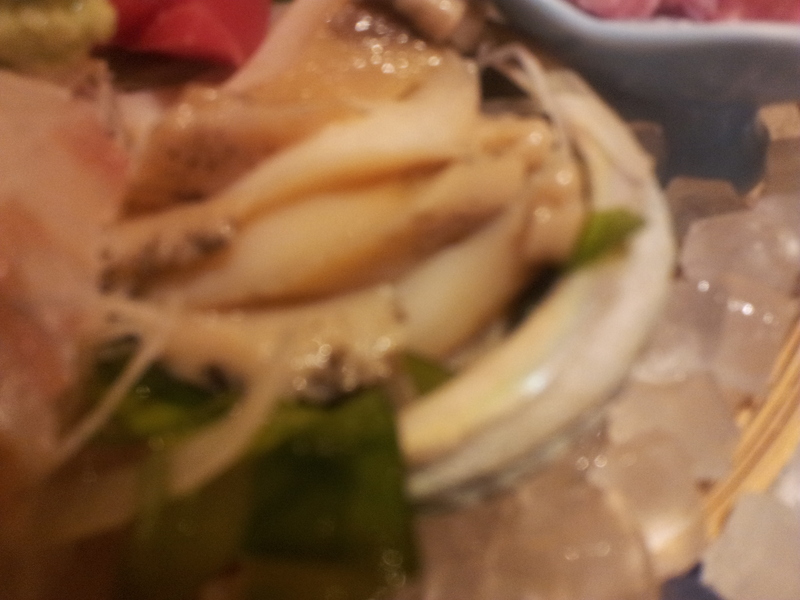 I had Japanese abalone sashimi before but usually they were a bit tough & chewy. & they were expensive and not great so I wouldn’t usually order them. These were not tough at all & very sweet, a really nice treat! 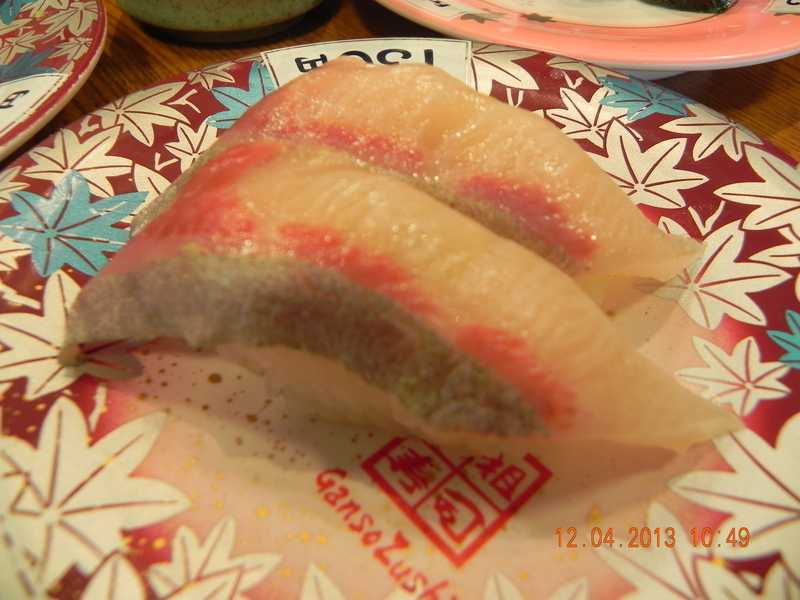 The negitoro was also very sweet (I later tried a pair of negitoro sushi at a conveyor belt sushi place & though they looked beautiful they had very little taste). 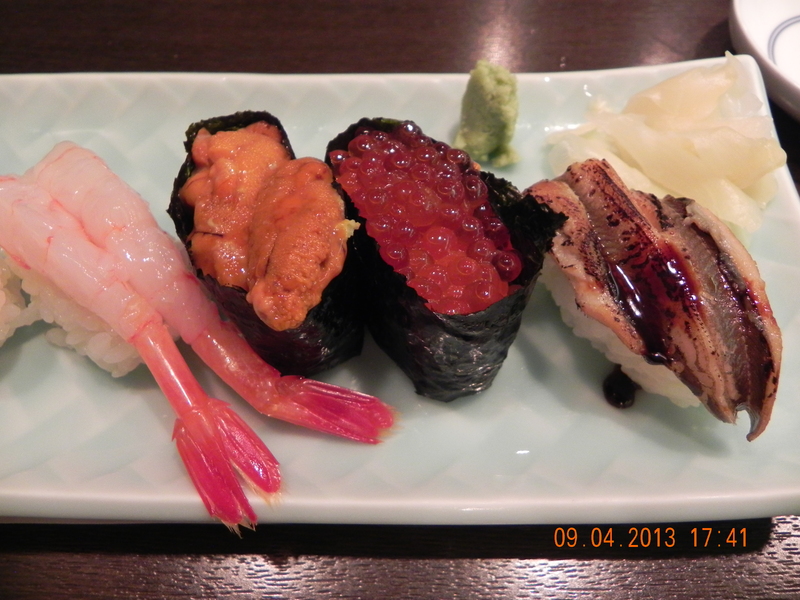 the slug thingy (tsubugai) was ok but still a bit tough, never my favourite but quite ok here. 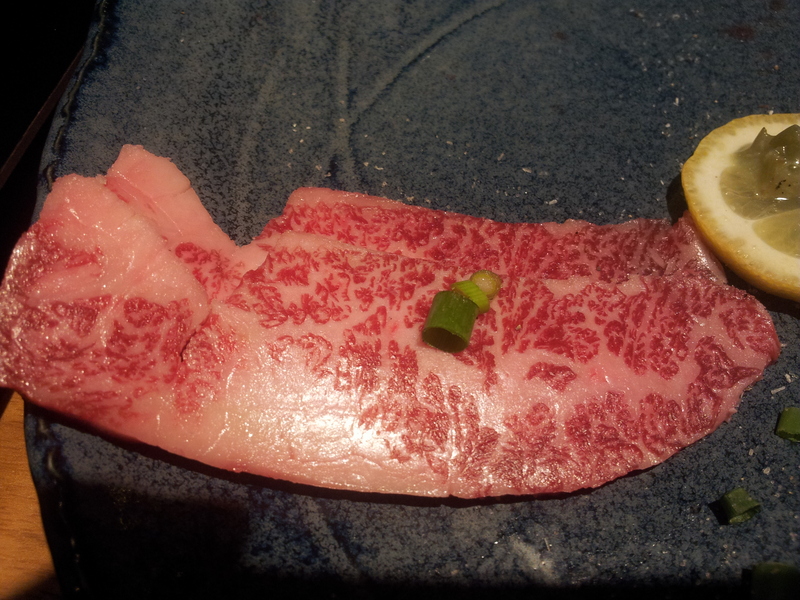 and the akamai – lean toro – was also good. The 1800 yen price (=S$20++) was of course extremely cheap for the items offered. In Singapore it would be difficult to get this for S$80++. 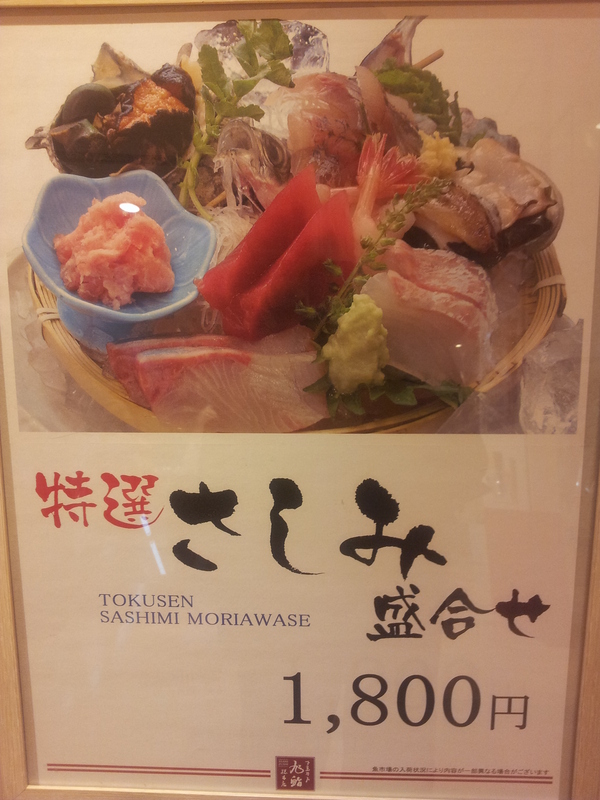 So as we all already know, good Japanese food is a lot more expensive in Singapore on a quality-price comparison. There were many other good sets at Asahi Sushi like a good chirashi don for 1490yen – and it looked as good & more in quantity c/w the one at Ginza Kuroson, which to me offers the best priced quality chirashi don in Singapore at S$20++ for lunch inclusive of salad, dessert & ice tea.